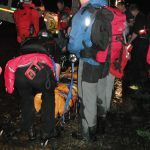 A day of very heavy rain. 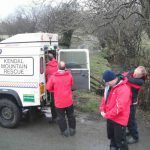 The Police paged our Leader Group regarding a car stuck in flood water. 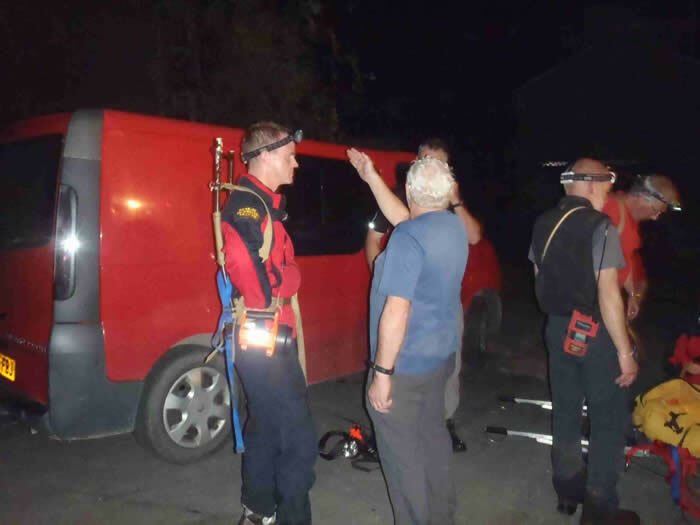 It was established that the incident was near Hawes (not our patch) and it was dealt with by the Fire Service. The rest of the Team was not called out. 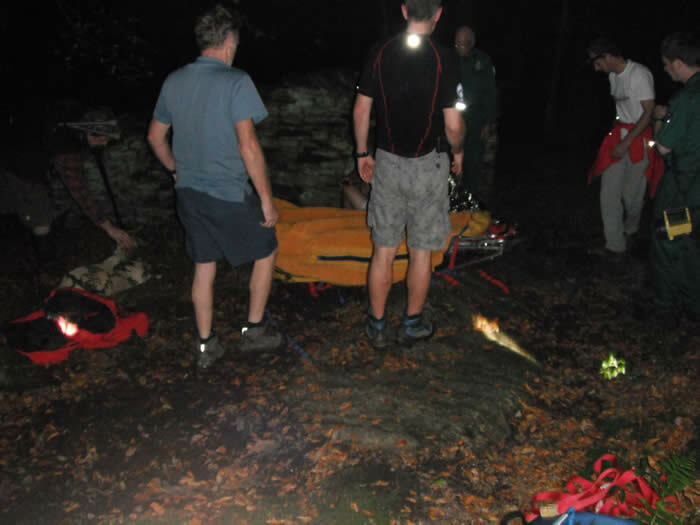 Four team members were called to rescue a sheep that had become crag fast in Longsleddale. 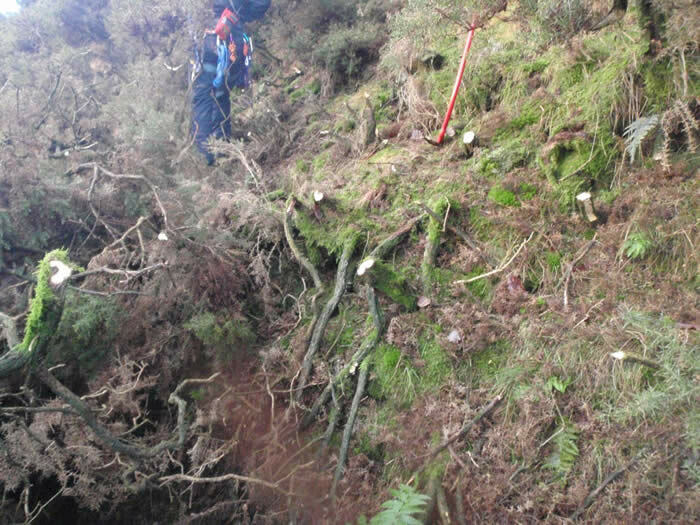 The farmer reported that it had been stuck for a couple of days. 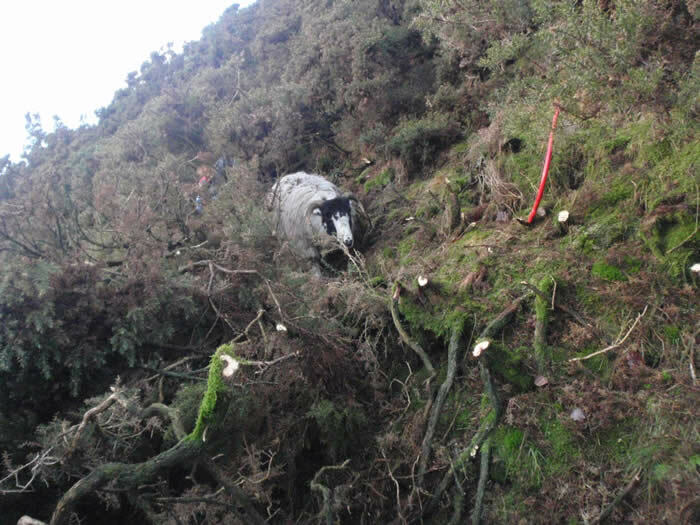 As it turned out it was stuck in the middle of a gorse thicket on steep ground above Low House Farm. 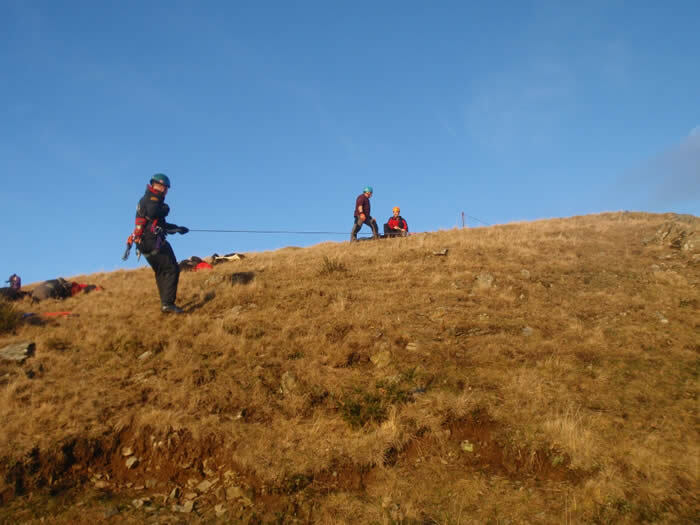 Using ground stakes as anchors, a team member equipped with a saw was lowered down to the stricken creature. The freed beast resisted being sent back up a vague path, so the solution was to cut a new path along the contour. 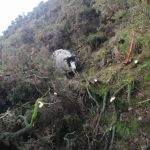 With the sun heading down behind Brunt Knott, a second team member started trying to cut into the gorse from the side, only to discover that bolt croppers make a poor substitute for pruning shears and a shovel a poor substitute for an axe. 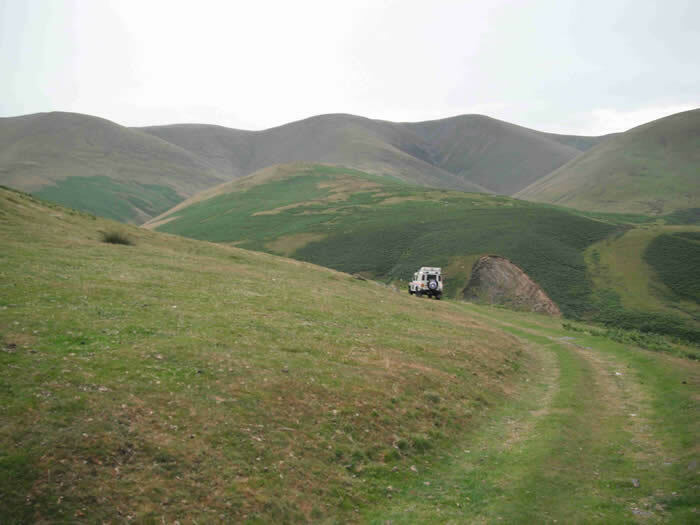 The two team members met eventually and the sheep was encouraged along the new path. 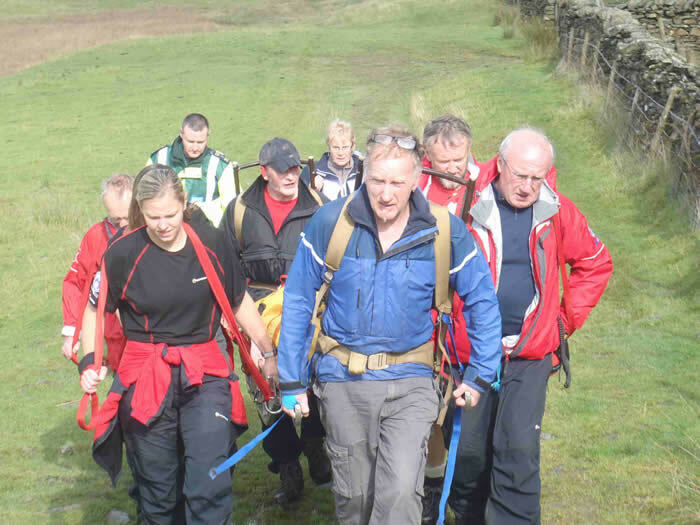 An unusual experience – most sheep seem to run like hell when they see team members approaching – can’t think why! 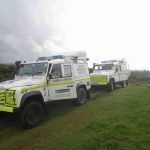 We were asked to assist the Duddon & Furness team in a search for a missing female in the Cark area. 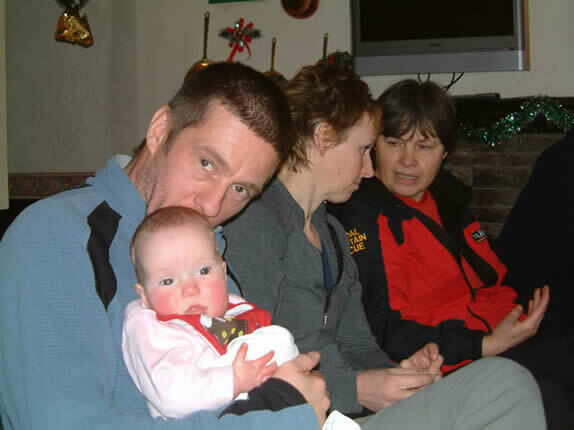 She was found as the team was assembling and we were stood down. 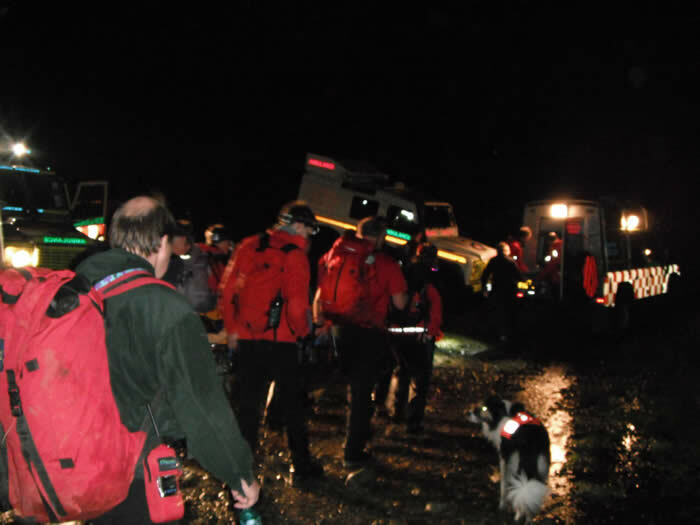 The Langdale & Ambleside team ask for our assistance on a river bank search in the Grasmere area. 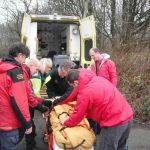 This followed the recovery of woman’s body from the northern end of the Lake at Grasmere yesterday. 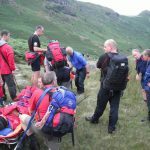 We were asked to assist the Langdale & Ambleside team with a male who had sustained a knee injury on the Stickle Ghyll path in Great Langdale. 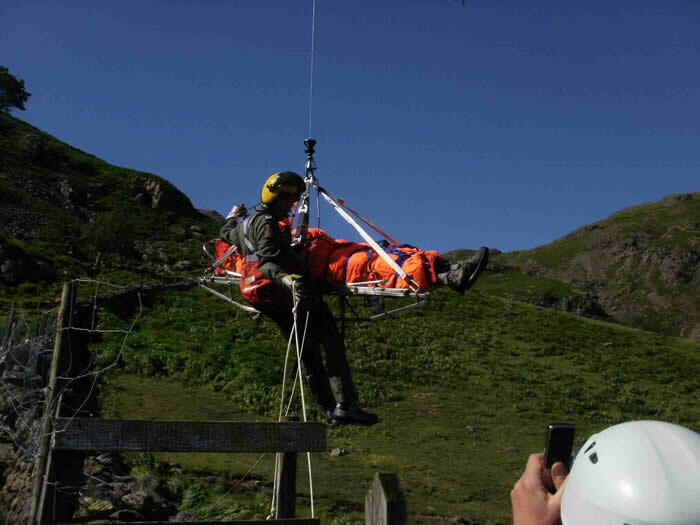 He was carried from the fell and transported to the Ambleside base where he was transferred to a waiting ambulance. 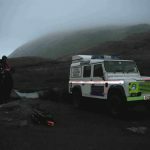 The Police paged us and asked us to assist two mountain bikers who had become benighted on the Nan Bield Pass. 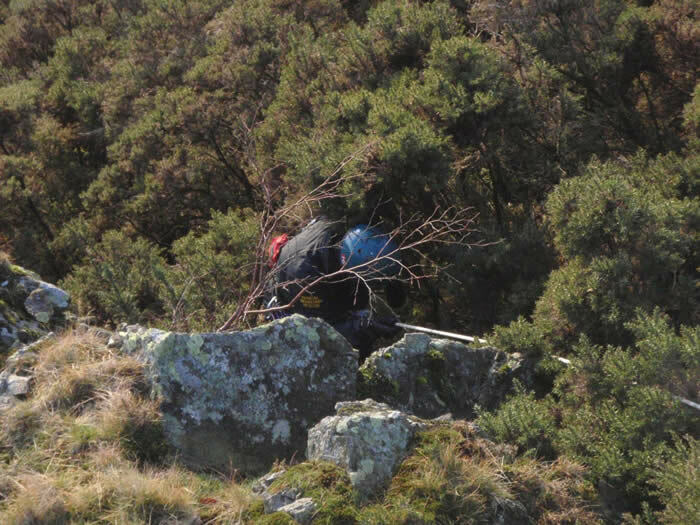 They had no lights but had managed to get to the stone shelter on the ridge. 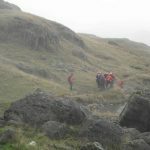 The ascent was steep and slippery with wet snow on wet grass but we found them safe and well, if a little cold, in the shelter. 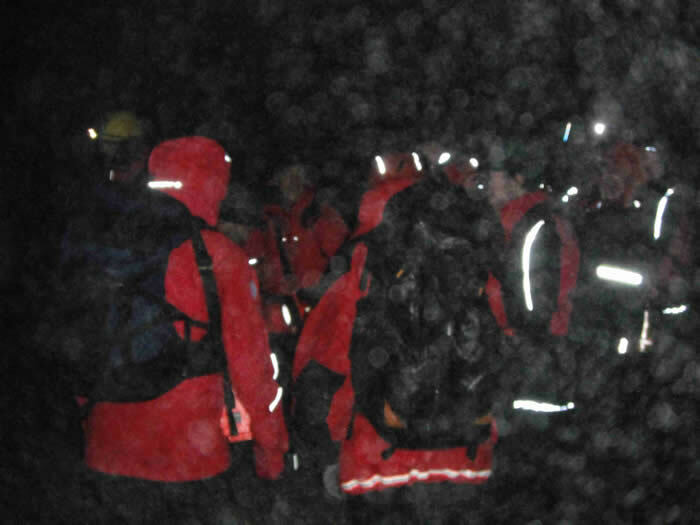 They were given warm clothing, warm drinks and chocolate before being walked off the fell to our vehicles at the Kentmere Reservoir, arriving just after midnight. 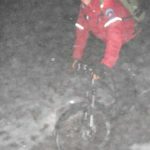 Their mountain bikes were also recovered (much to the delight of certain team members!). 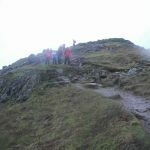 The Langdale & Ambleside team were already dealing with some lost walkers on Crinkle Crags when they received another call to a female with a lower leg injury on the summit of Low Pike. 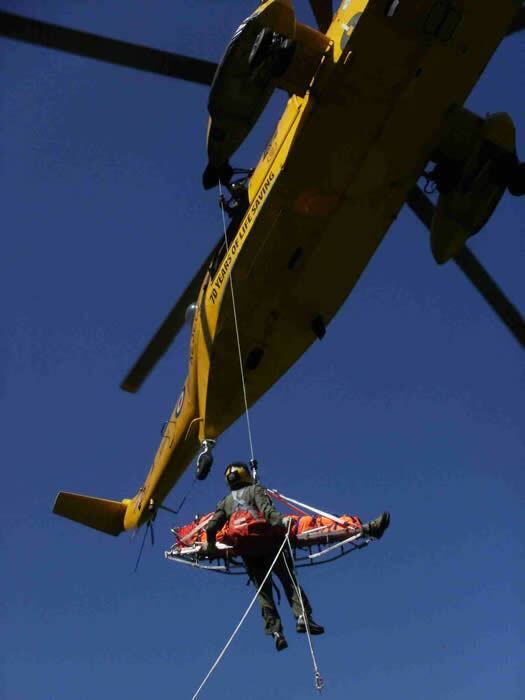 We were asked to assist on the latter. 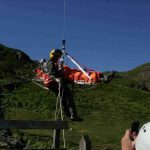 The casualty was located, treated, stretchered from the fell and transported to the Ambleside base where she was transferred to a waiting ambulance. 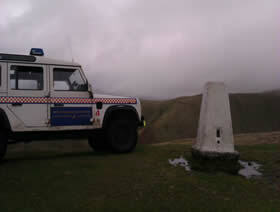 The Police paged us and asked us to assist a group of 4 walkers who were in difficulties in the Howgills. 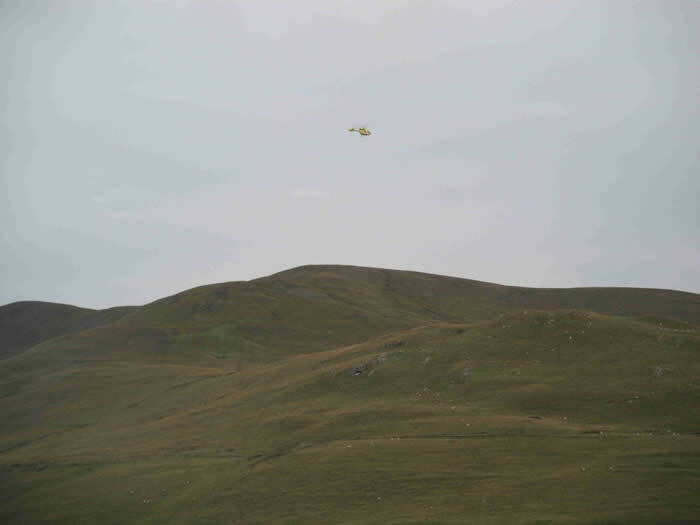 When we contacted them by mobile phone they were in very poor visibility and rather disorientated. 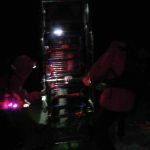 As there was some uncertainty about where they were we split into 3 groups to cover the likely routes from the southwest. 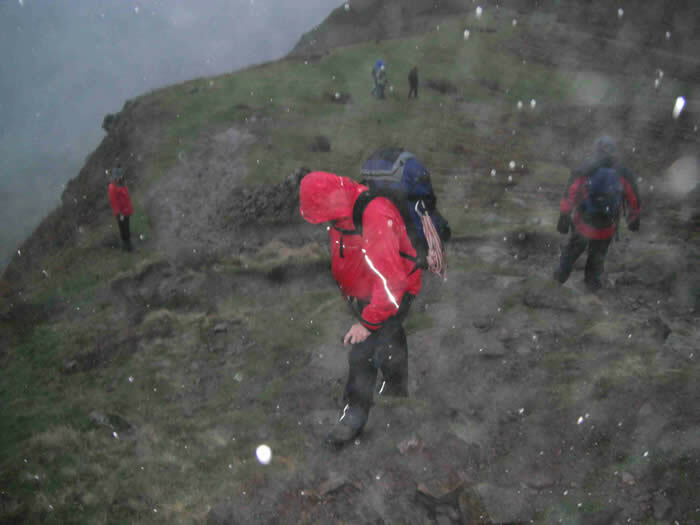 The group was located, cold and wet, close to the summit of The Calf. 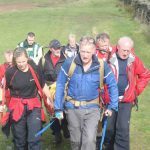 They were given shelter, warm drinks and food before being walked down from the fell and taken back to their own transport in Sedbergh. 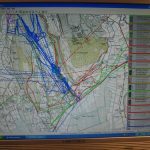 Our Leader Group was paged by the Police following reports of a light aircraft having crashed in the Kirkby Lonsdale area. 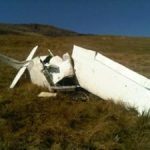 We made mobile telephone contact with the pilot who reported that he and his passenger were cold and wet with fairly minor injuries but he was unable to assist in establishing the location of the crash site. 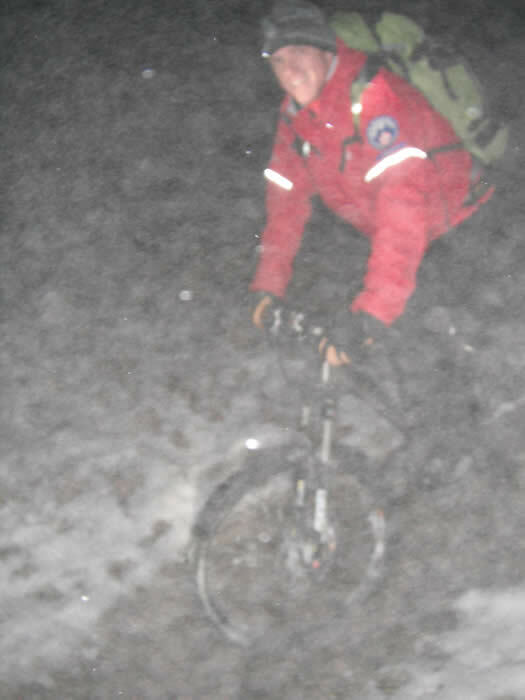 All he could tell us was that they were on grass in pitch darkness and they could see no lights. 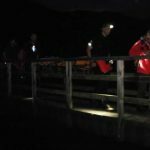 The rest of our team was paged and the Cave Rescue Organisation (CRO) and the Search & Rescue Dog association (SARDA) were also alerted. 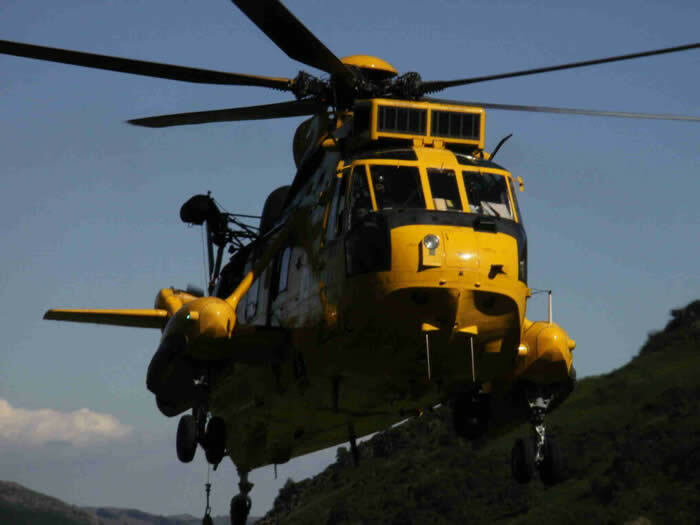 We deployed two vehicles and team members to the Kirkby Lonsdale area and an RAF Sea King helicopter joined in the search with night vision equipment. 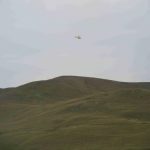 Eventually, the stranded pilot reported that he could see the lights of the helicopter and from that information the RAF were able to provide an approximate grid reference for the crash site. 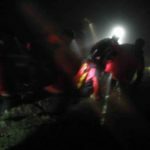 Hill search teams were dispatched and the crash site was located by CRO team members around midnight close to the summit of Ingleborough. 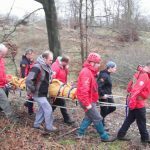 The “fairly minor injuries” turned out to be a mixture of chest and head injuries, broken ankles, one suspected fractured femur and some broken ribs. 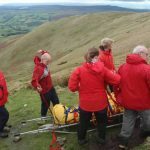 The casualties were stretchered from the fell by CRO and Kendal team members and were transported to hospital by ambulance. 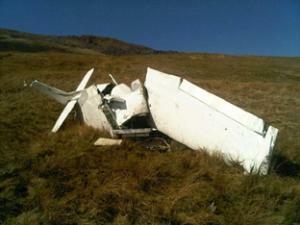 The crash site was secured and our team members returned at about 6am. 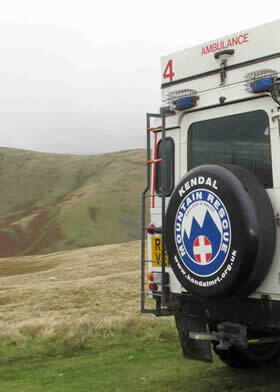 We were called to assist the Kirkby Stephen team on a major search in the Howgills, just to the east of Tebay. 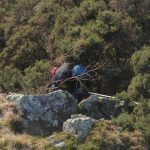 Apparently a male had gone off at 16.00 to lay an aniseed trail for hounds. 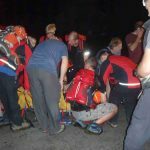 He had become disorientated and lost with no torch and with minimal equipment. 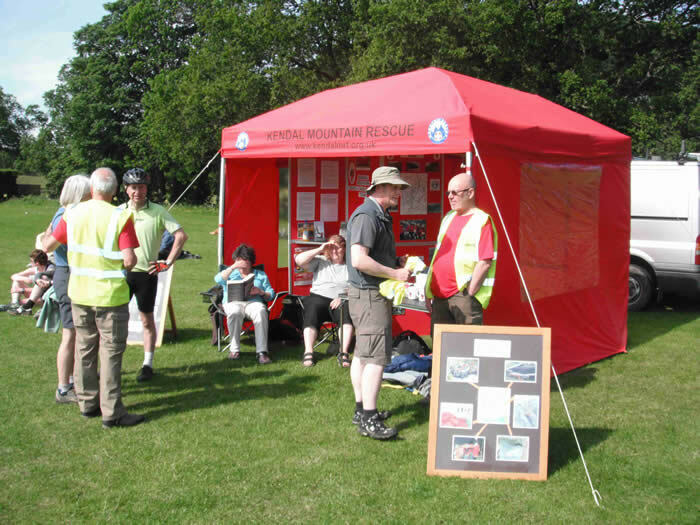 Search managers had mobile phone contact with the man but he was unable to give much of an idea about where he was. 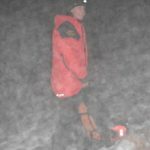 We joined other teams on the search in wet, windy and generally miserable conditions and we were pulled off the fell at about 04.00 hrs without finding any sign of him. 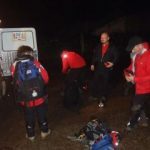 It is understood that he was eventually found by a team from the Cave Rescue Organisation making his way down (cold and wet) at about 09.00 hrs. 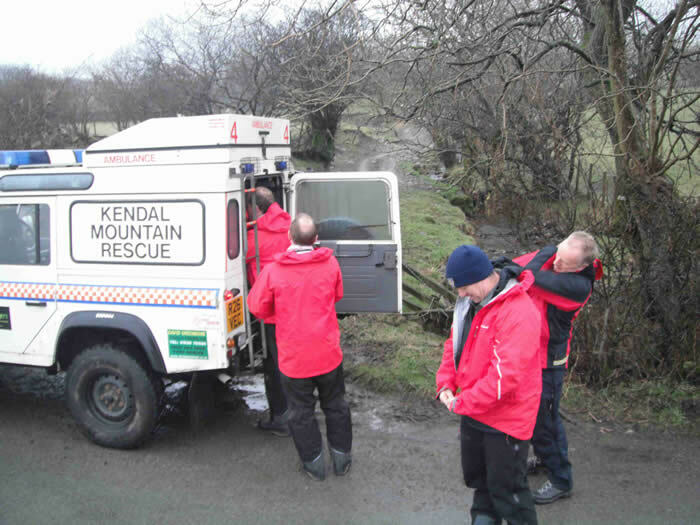 While the team was engaged in the above, the Police paged us regarding a missing person in Kendal. 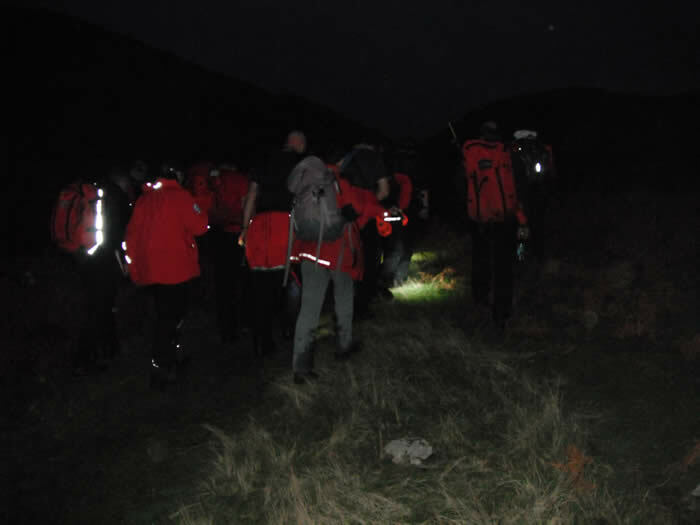 Three team members who were not engaged in the Tebay search were joined by 10 personnel from the Langdale & Ambleside team to carry out a search in the town. 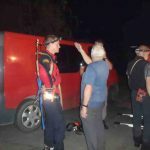 The search was called off at around 02.30 hrs without success. 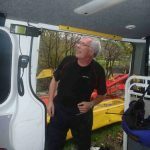 No further information regarding the missing person is available at this time. 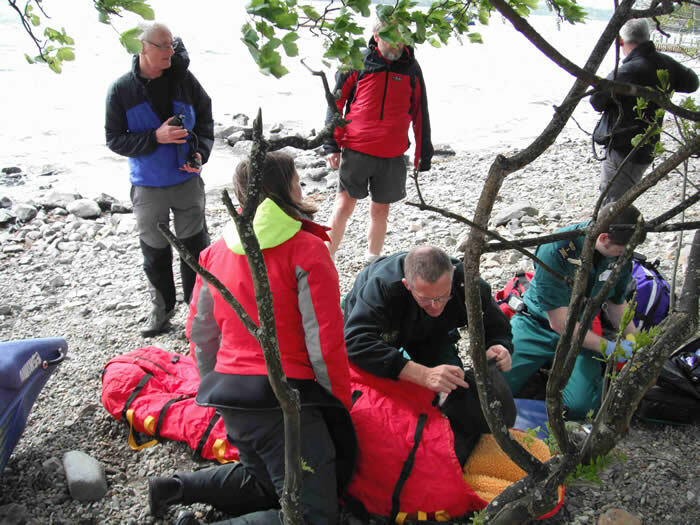 We were paged by the Police and asked to assist the North West Ambulance Service with the location and evacuation of a male who had reported himself unwell at School Knott Tarn (Near Bowness on Windermere). 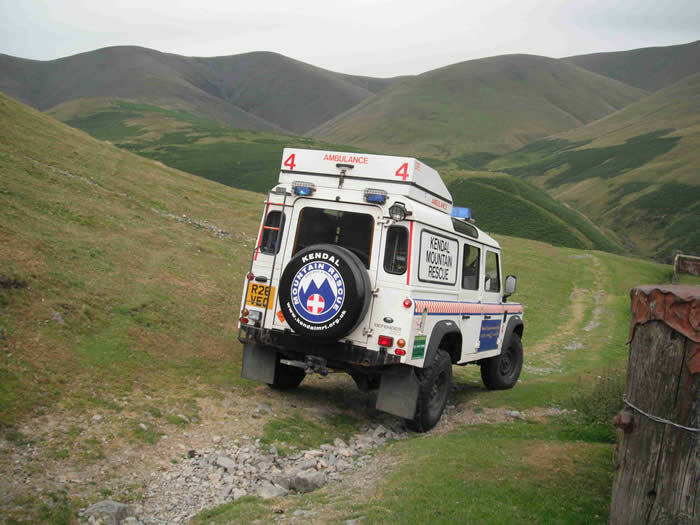 We met a paramedic on the Crook Road, drove as far as possible up the track towards the tarn and located the casualty after a short walk. 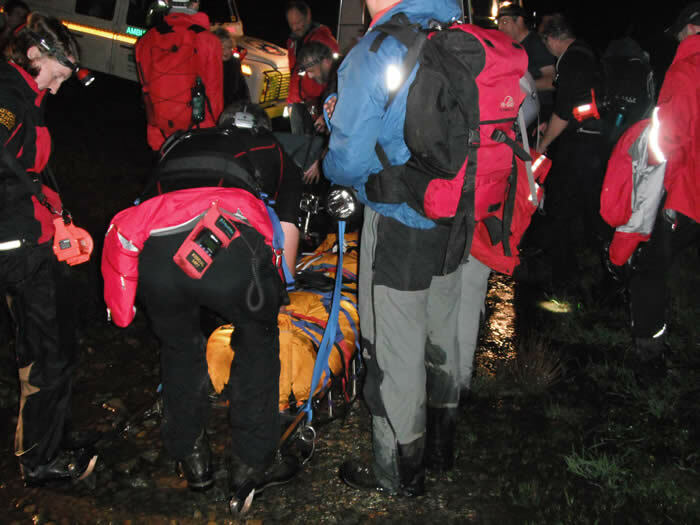 He seemed to have been there some time and was found to be very wet, with mild hypothermia. 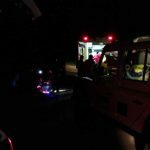 He was stretchered back to our Land Rovers and transported back to the Crook Road where he was transferred to an ambulance. Back to bed at 5am! 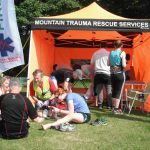 – except those 5 team members who were leaving at 5.30am to attend a course in North Wales and the others who were off to the Keswick to Barrow walk. Ho-hum! 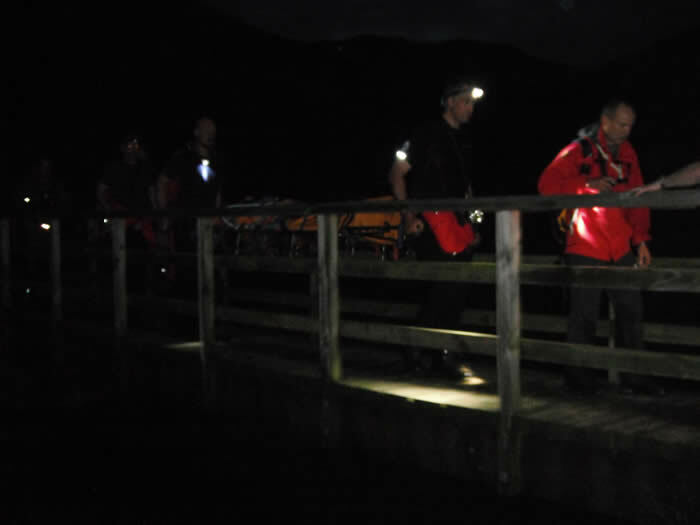 The Police paged us and asked that we attend a casualty on the bank of Windermere in the Millerground area. 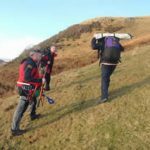 It transpired that an elderly man had become disorientated after he had fallen, hurting his knees and his head. 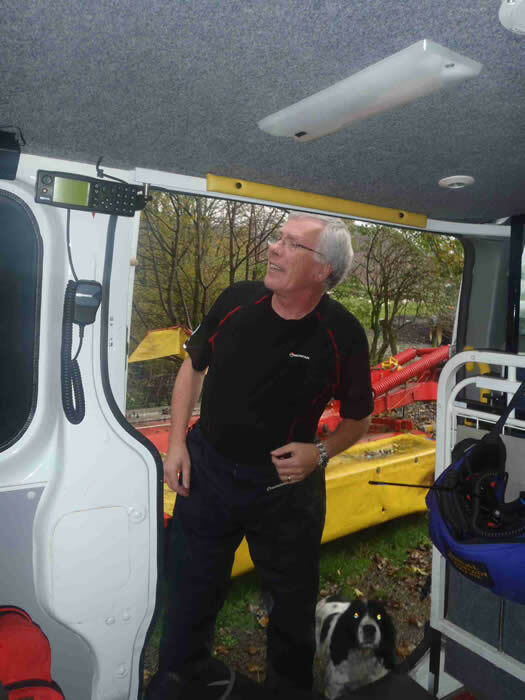 As it happens, he was spotted by a group of canoeists who were being lead by one of our Deputy Team Leaders. 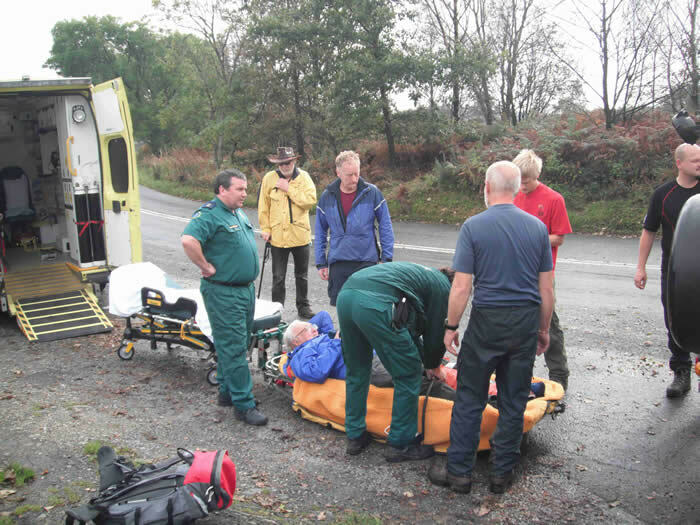 The North West Ambulance Service and two members of the Langdale & Ambleside Team also attended. 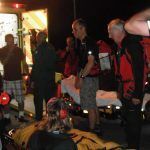 The casualty was assessed and it was decided that the easiest option for evacuation was to call in the Lake Warden’s launch. 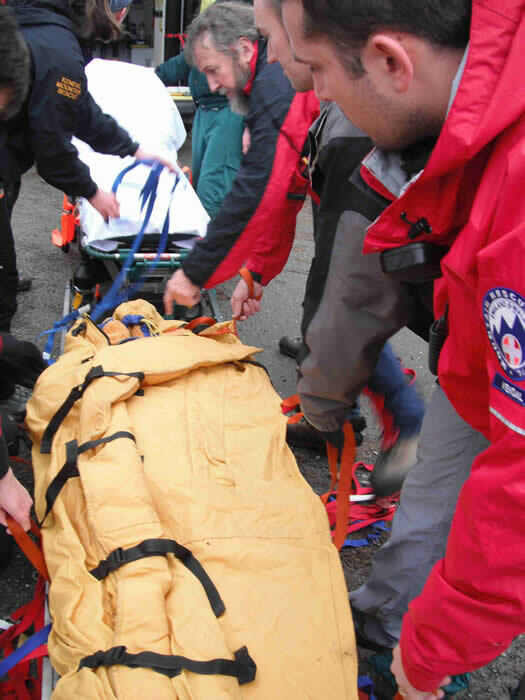 He was taken on the launch to the nearest point at which he could be transferred to the Ambulance at the lake-side. 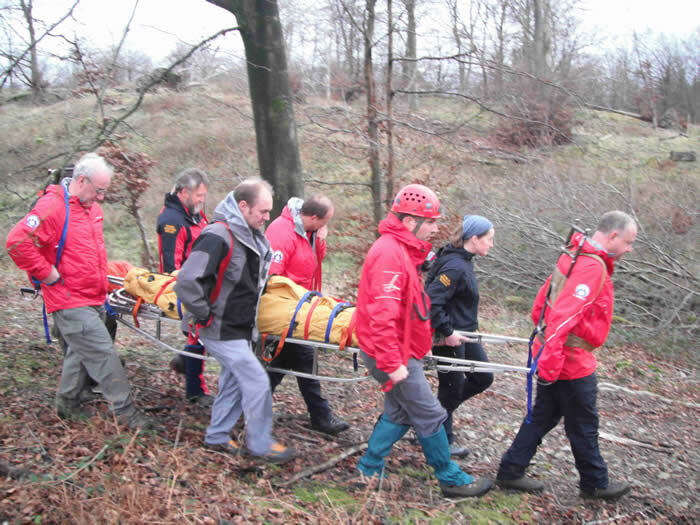 The Police requested our assistance in recovering a body from woods near Arnside. 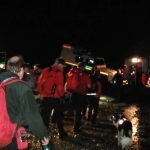 On returning to base from the previous incident we became aware that the Langdale & Ambleside team had been called out on a search. 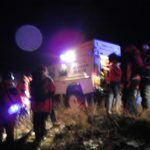 We offered our assistance, which was accepted. 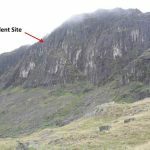 Apparently, a lone walker had parked his car in Great Langdale with the intention of walking the length of Crinkle Crags and he reported that he could not find his way off. 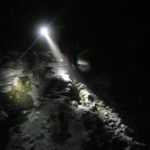 He had no torch but he chose to ignore advice to stay put. 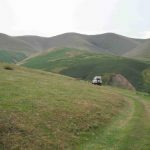 He said that he had a compass and that he was walking south. 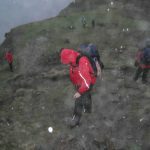 Search teams covered Crinkle Crags from both the north and the south and the search was later extended to Pike of Blisco and to Cold Pike in wet and windy conditions. 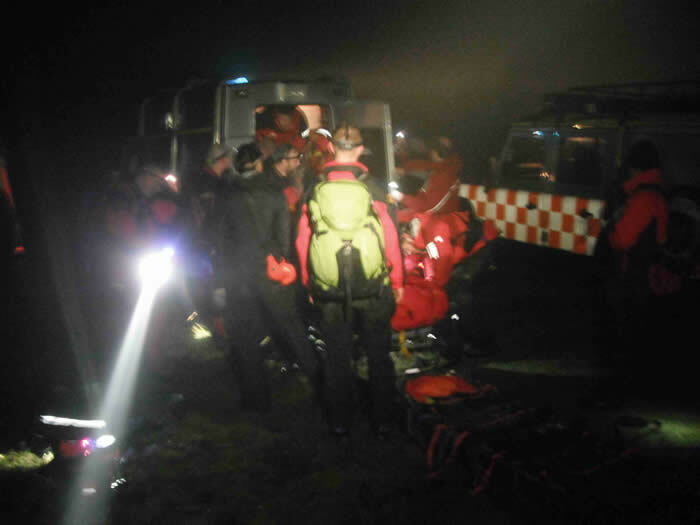 The search was wound down without success at around 2am and our team members returned to base at around 3am. 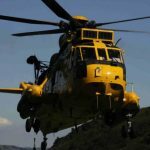 It is understood that the missing walker turned up later in the morning at Seathwaite (Borrowdale). 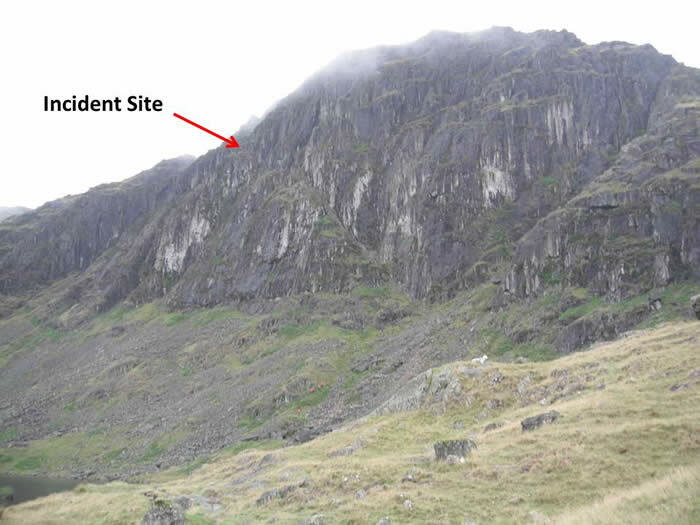 This is around 8Km north of Crinkle Crags – did he have his compass the right way round??? 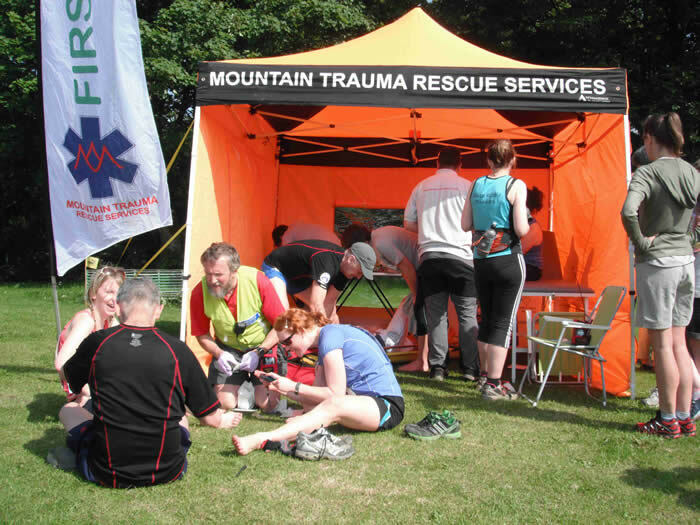 A number of team members acted as marshals on the Kentmere Trail Race and we dealt with the usual mixture of blisters, abrasions, twisted knees, turned ankles and exhaustion. Thanks go out to Spiderman and Batman (click here). 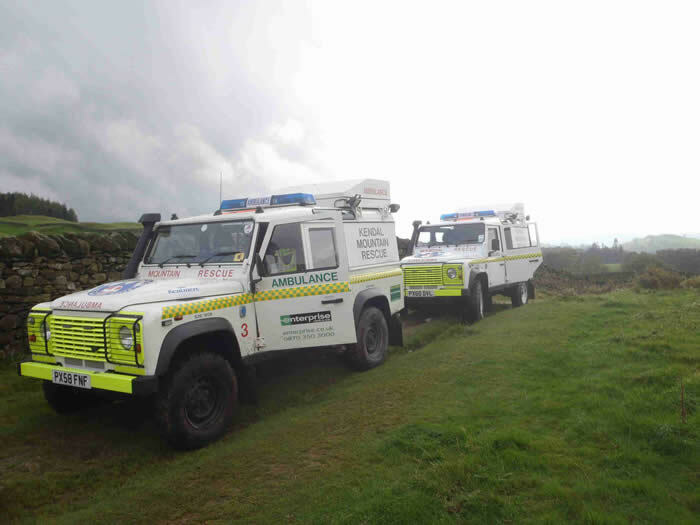 We were put on standby following a call from the Bowland Pennine team who thought that they might need assistance in searching for a missing person in the Silverdale area. 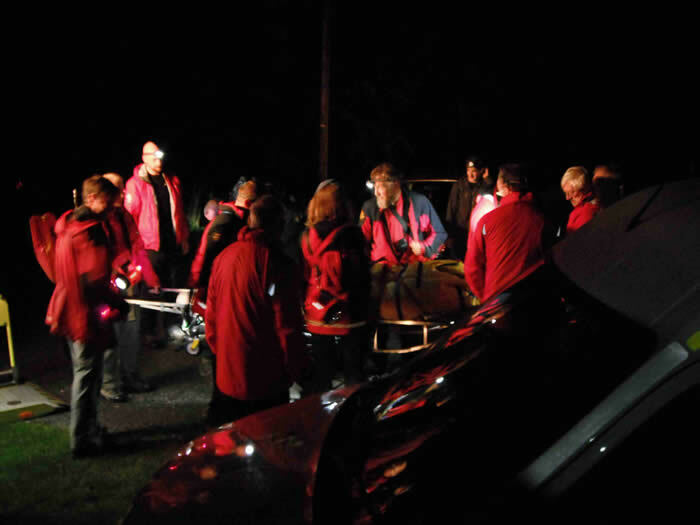 The missing person was located before we were mobilised. 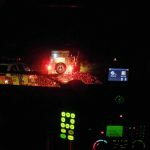 We were paged by the police and asked to assist the North West Ambulance Service with a female casualty who had a reported dislocated shoulder. 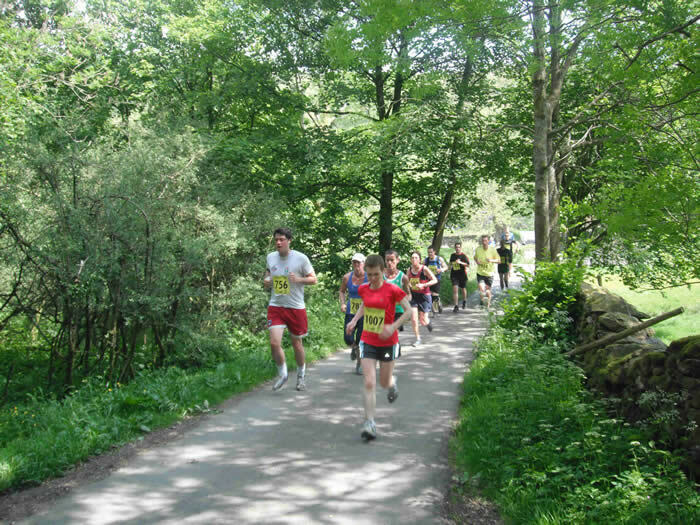 The location was given as “woods near Rosthwaite Farm, Storrs (south of Bowness)”. 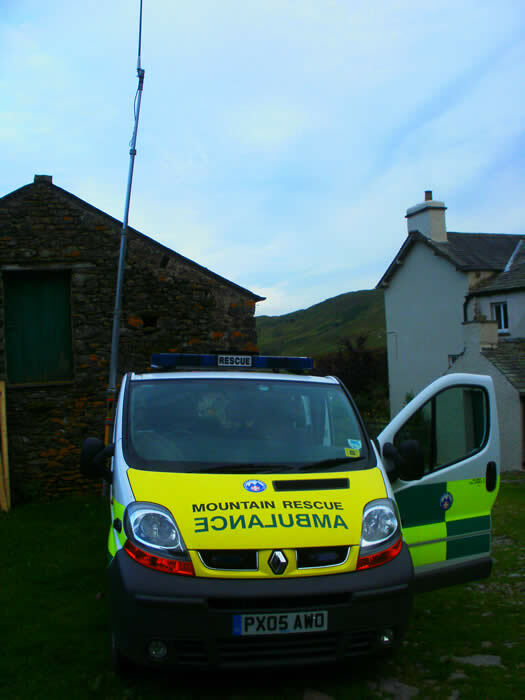 We met the ambulance at the farm and went our separate ways to look for the casualty. 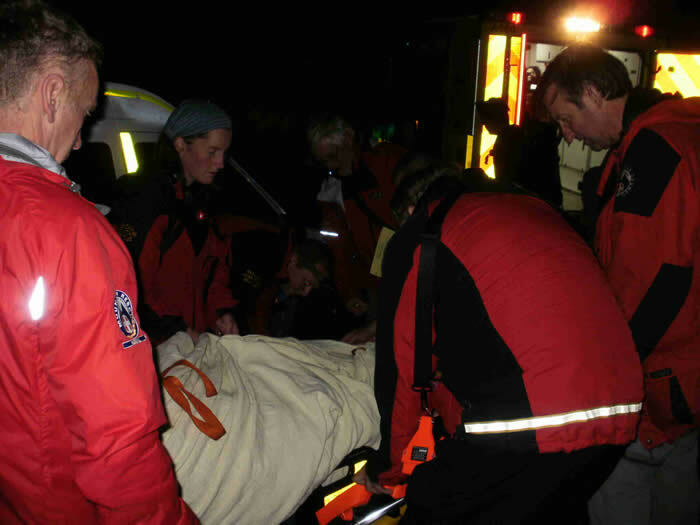 The crew from the ambulance found her and evacuated her easily with the assistance of one of the farm staff. 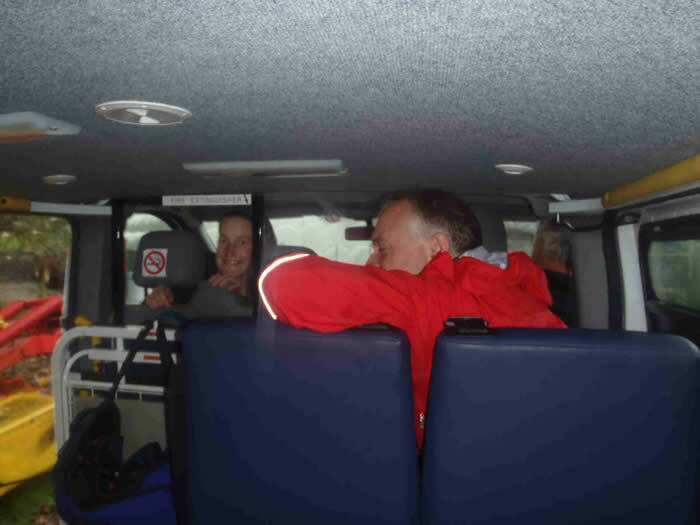 We were then stood down. 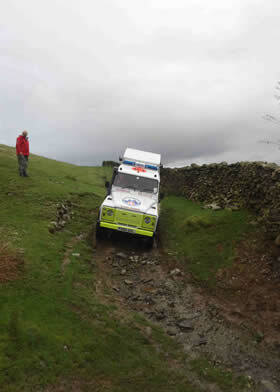 The Langdale & Ambleside team had two incidents on the go at once an so they called for our assistance. 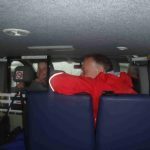 They managed to get them sorted while we were on route so we were stood down. 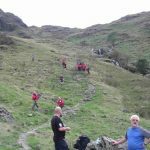 We were again asked to assist the Langdale & Ambleside team and this time we got there! 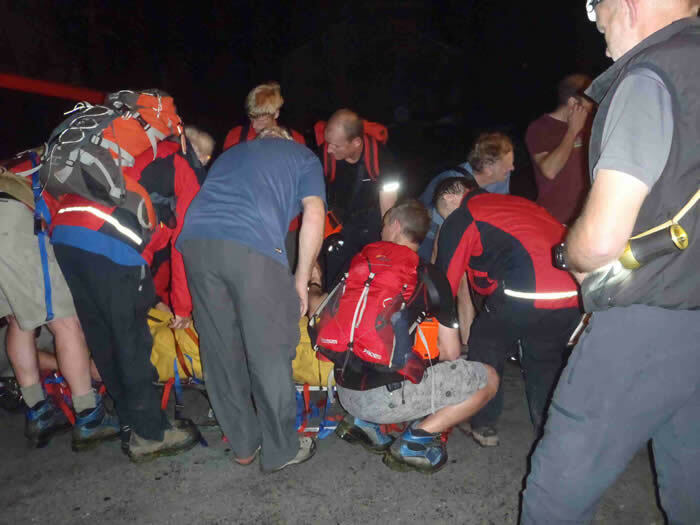 A male had fallen about 5 metres in to lower Dungeon Ghyll, sustaining chest, arm and leg injuries. 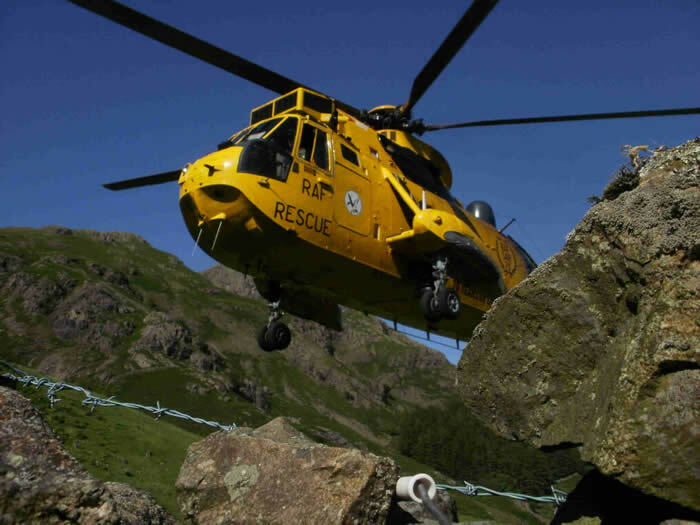 A difficult extraction from the Ghyll was achieved and the casualty was then winched up into an RAF Sea King helicopter for transfer to hospital. 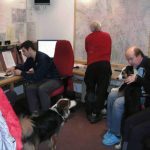 Our third call-out in 12 hours! 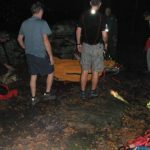 It seems that a small group had decided to have a late night dip in a river pool at Beckside, Old Hutton and a man was washed over a waterfall, falling about 5 metres. 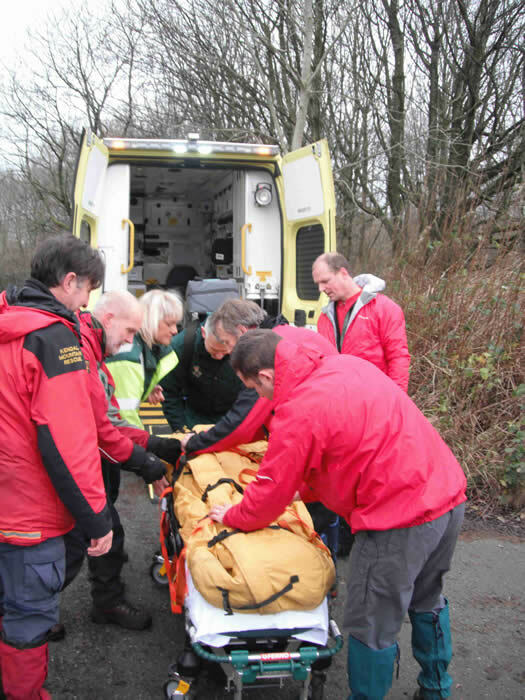 He sustained head and chest injuries and, as he took quite a long fall, we were asked to assist the North West Ambulance Service in moving him safely to the ambulance. 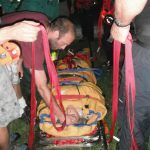 He was placed in our vacuum mattress and cas bag for the short stretcher journey to the road and onward transport to hospital. 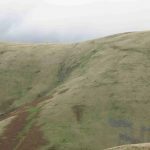 We were paged by the Police and asked to go to the assistance of a male mountain biker who had taken a serious fall on a steep path down White Fell in the Howgills near Sedbergh. 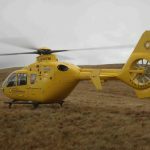 An Air Ambulance from North Yorkshire was also deployed and managed to land on the ridge some distance below the casualty. 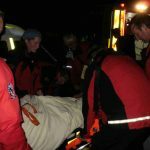 The casualty was found to have head and shoulder injuries and, following treatment, we stretchered him down to the helicopter. 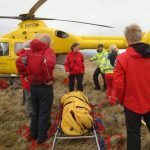 This flew him down from the fell to a waiting North West Ambulance. 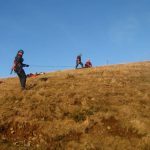 We were greatly assisted by a local farmer who was kind enough to transport our gear up the ridge using his quad bike and trailer and then bring down some gear and two mountain bikes. Does he want a job?! 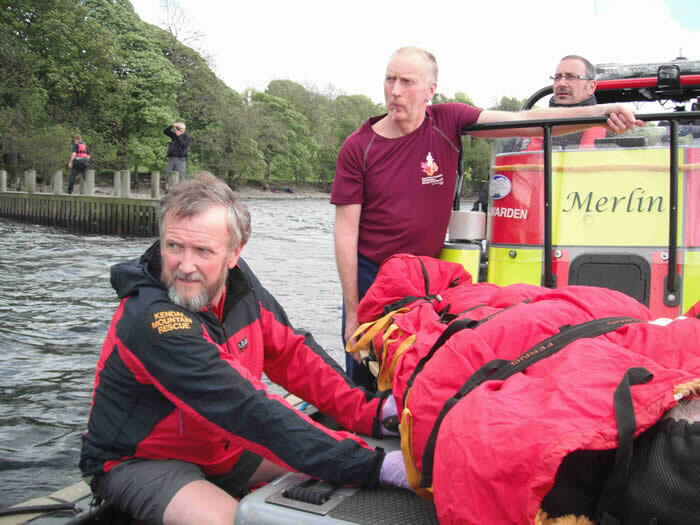 While on a training exercise, some team members noticed a suspicious object in the River Kent in Kendal (which was running pretty fast at the time). 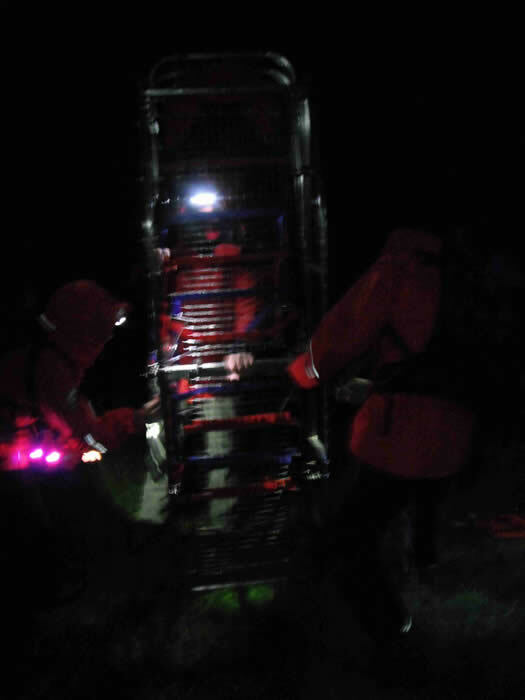 After some discussion with a Police Officer and with concern that the object could result in a callout later, it was decided that two of our Swift Water Rescue Technicians should attempt to retrieve it. This was duly accomplished and the object turned out to be a commercial boating throw-line and bag. 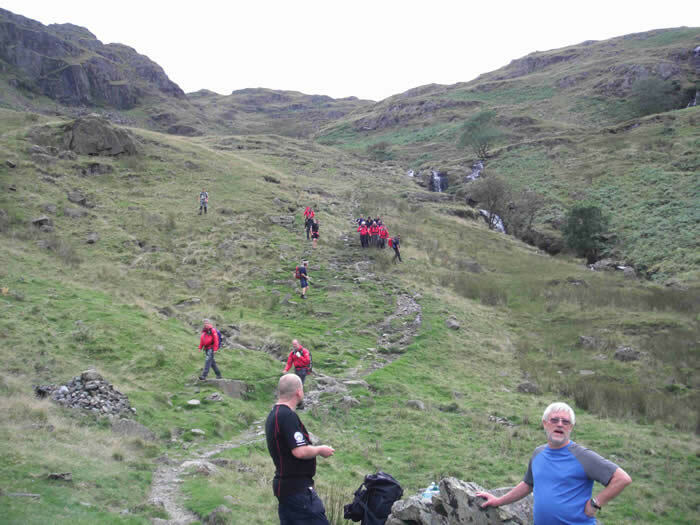 We were asked to assist the Langdale & Ambleside team in recovering a man’s body from Jack’s Rake (Pavey Ark, Great Langdale). 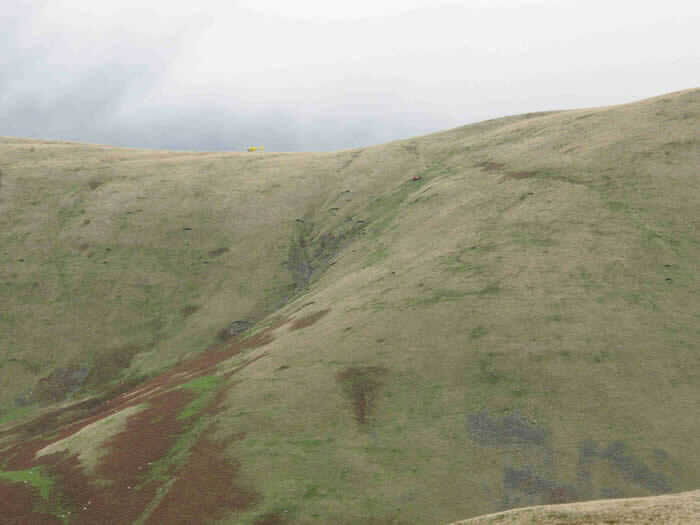 The Police paged us following a report from a woman who had heard voices and whistling in the Kentmere area. 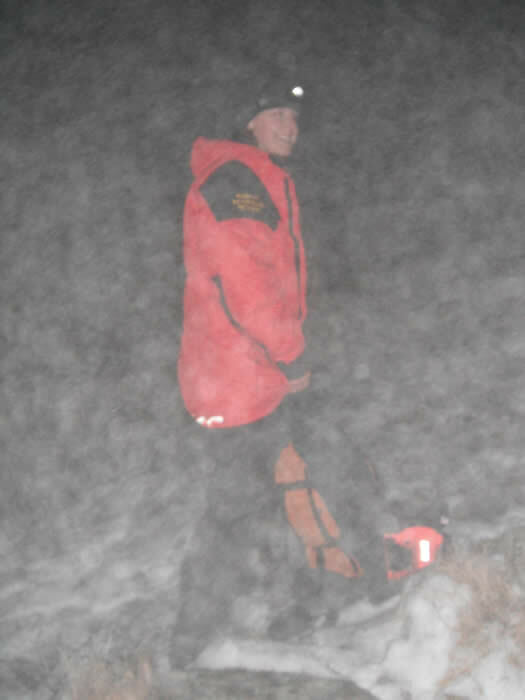 We were stood down shortly after when it was established that someone was looking for their dog. A well intentioned report, particularly with daylight failing. 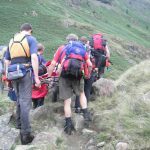 The Langdale & Ambleside team asked for our assistance with a male who had sustained a lower leg injury at the top of Far Easedale. 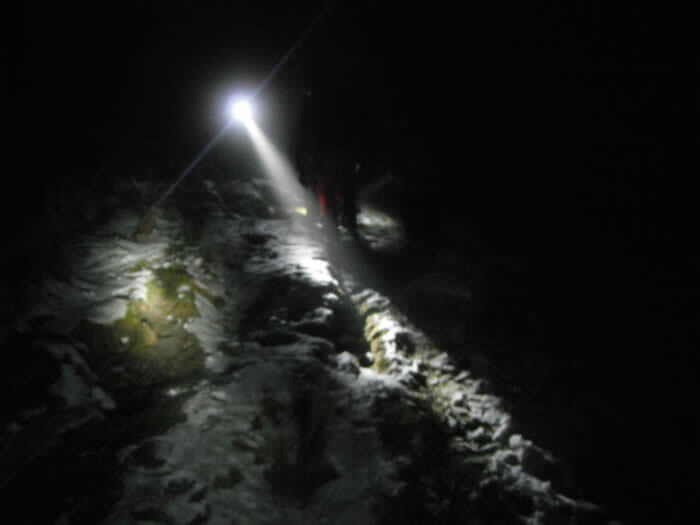 A long carry-off but it was dry for a change and we got down just as it was getting dark. 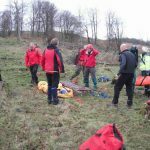 We were paged by the Police and asked to assist the North West Ambulance Service in the recovery of an 87 year old man from steep woodland adjacent to the canal path which runs between Natland and Sedgwick. 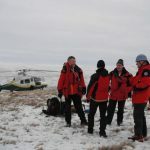 Apparently he had failed to return from a walk earlier in the day and had been found by his family following a search. 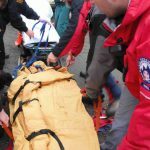 He was a little cold and unable to walk so we stretchered him to the waiting ambulance. 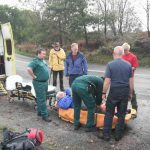 An experienced group of 4 local people were walking the Bannisdale Horseshoe when a female member of the party sustained an ankle injury while negotiating very boggy ground in the area of Long Crag. 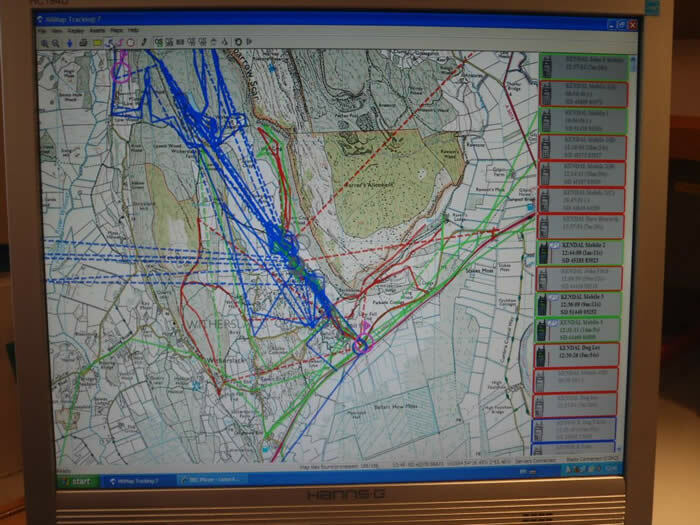 Her friends alerted the team through the police, with an accurate grid reference of the incident site. 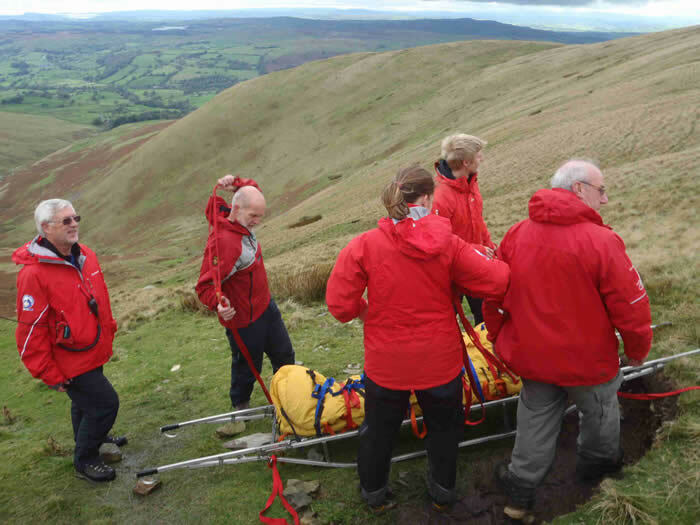 On our arrival the casualty, a young lady from Kendal, was treated by team members and then stretchered to a team vehicle to be driven off the fell to a waiting ambulance. 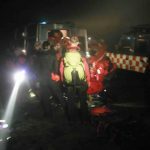 15 team members were involved in the incident which took about three hours to complete. 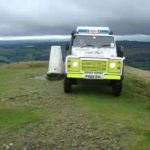 The Police paged the Team’s Leader Group concerning a male who was reported as a little lost with a shoulder injury in the vicinity of White Scar, Whitbarrow. 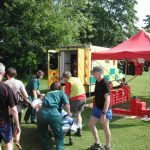 The Team Leader had already been alerted by Ambulance Control. 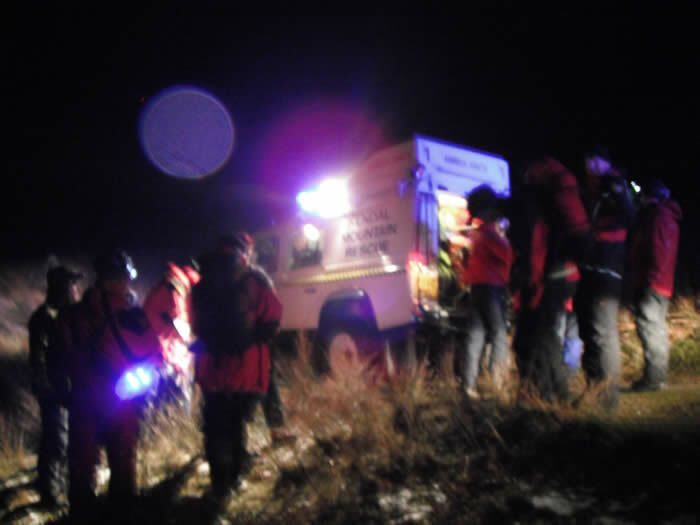 It was quickly established that the casualty could see the main road and he met up with an ambulance at Raven’s Lodge before the Team could be mobilised. 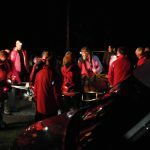 We were alerted by the Penrith Team following reports that there were 5 American females missing on the Coast to Coast walk. 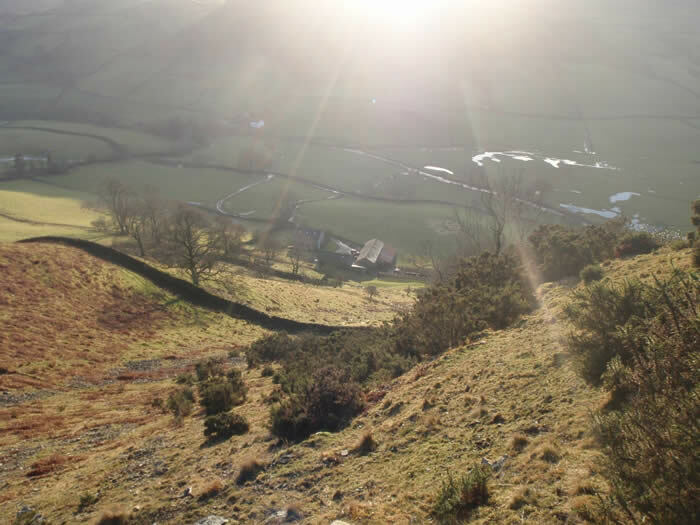 They had departed from Patterdale, heading for Bampton and were overdue by 5.5 hours. 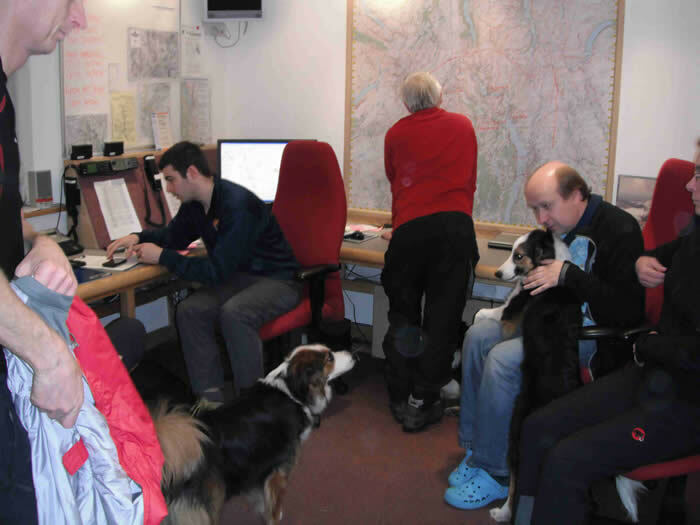 The Patterdale & Kendal teams were put on standby but we were stood down at 21.00 hrs when they turned up in Kentmere. 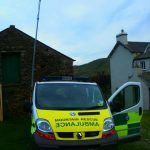 We were called to assist the NW Ambulance Service at Meathop, Grange-over-Sands. 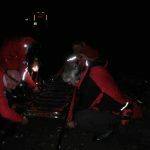 An 87 year old lady had fallen some time during the afternoon upstairs in her house, sustaining a possible broken femur. 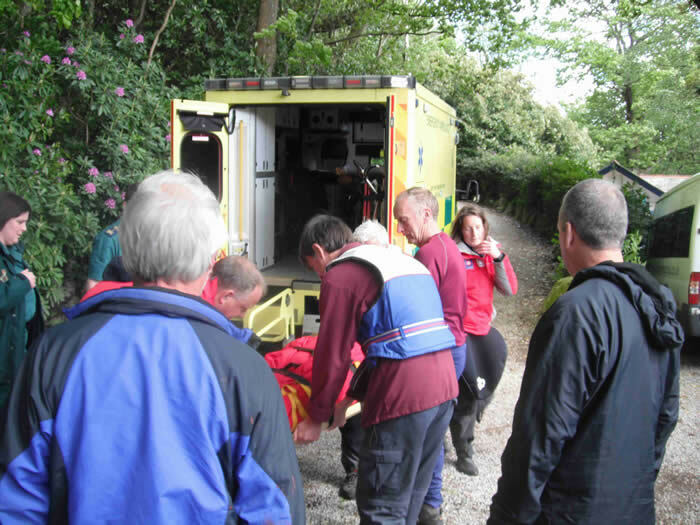 The Ambulance Service were on scene and treated her but they needed help with the evacuation. 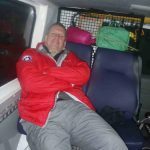 She was put on our Vacuum Mattress and carried out of house to the waiting ambulance for transfer to hospital in Barrow in Furness. 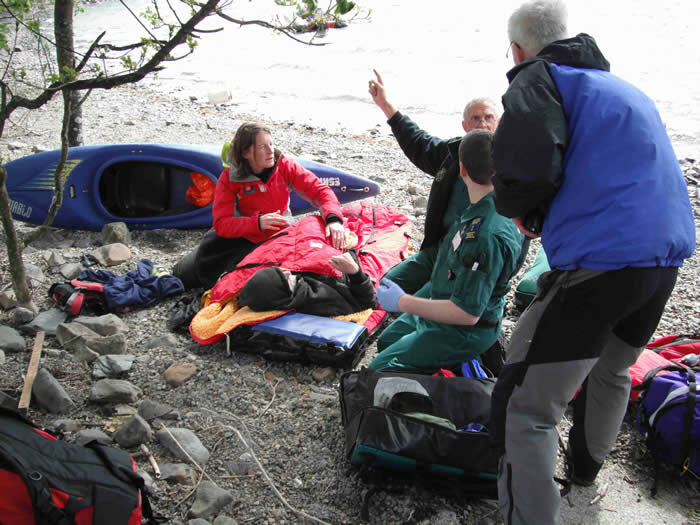 The Langdale & Ambleside team asked for our assistance with the evacuation of a male who had suffered a painful dislocation of his elbow following a fall. 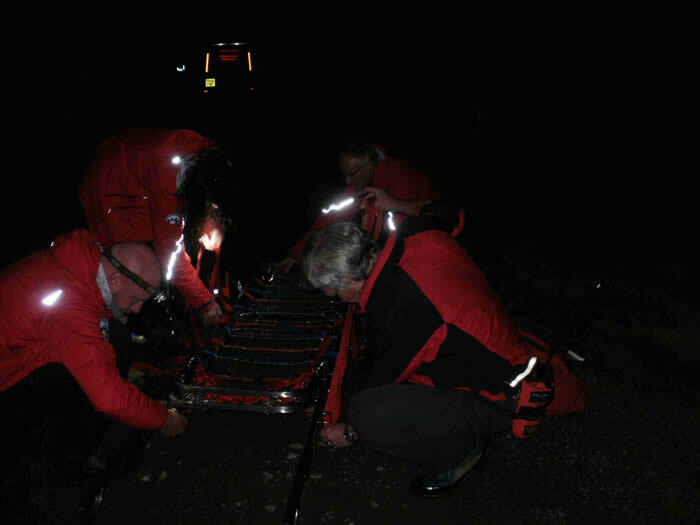 We helped to stretcher him down Rosset Ghyll after the air ambulance failed to reach him due to the bad weather. 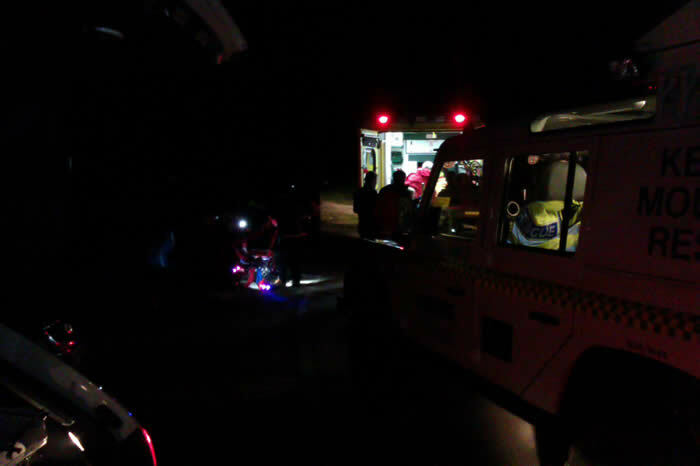 We were again called to assist the NW Ambulance Service. 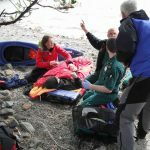 This time it was an elderly female casualty at School Knott Tarn (near Bowness-on-Windermere) with a suspected fracture to the lower leg. 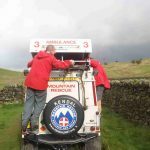 Our vehicles managed to get to within 100 metres of the casualty and we undertook a short stretcher carry to one of our Land Rovers. 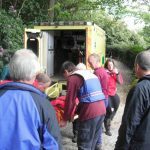 The casualty was then transported down to the waiting ambulance. 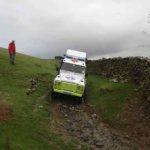 We were called to assist the North West Ambulance Service with a local woman who had sustained a lower leg injury close to the top of Craggy Wood near Staveley. 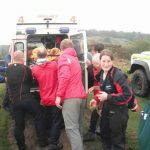 She had been given some pain relief by the ambulance crew and we splinted her leg before stretchering her down to the ambulance at Barley Bridge. 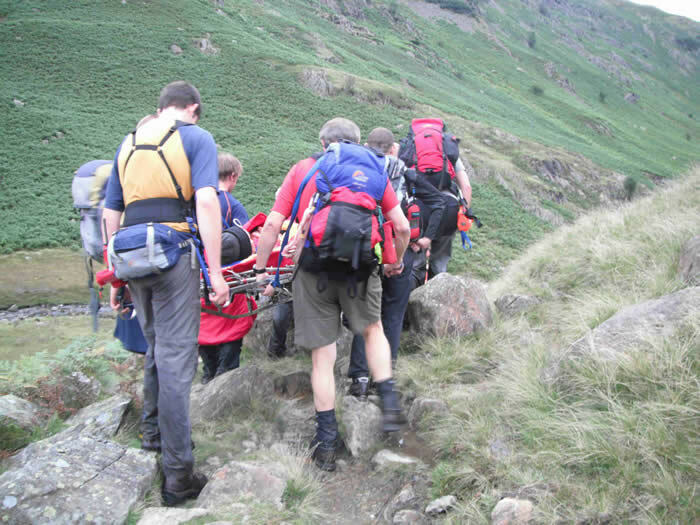 We were paged by the Police and asked to attend a male with a lower leg injury near School Knott Tarn. 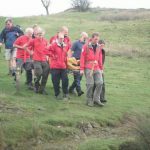 It seems that he had been walking on the Dales Way with a small group when he stumbled, sustaining a compound fracture. 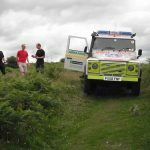 A Paramedic had already administered pain relief and splinted the leg so we carried the casualty a short distance to one of our Land Rovers. 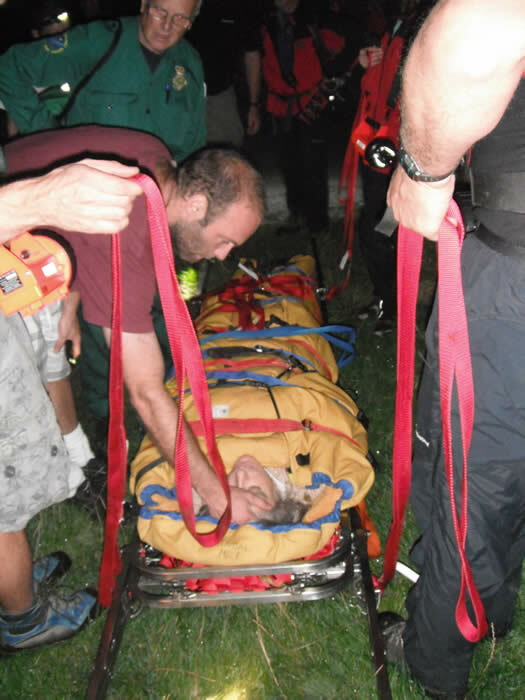 This transported him to the public highway and a waiting Ambulance. 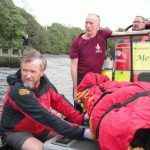 Another lower leg injury. 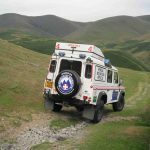 This time we were called to an elderly male from Carlisle who had fallen between Arant Haw and Nab, to the north of Sedbergh. 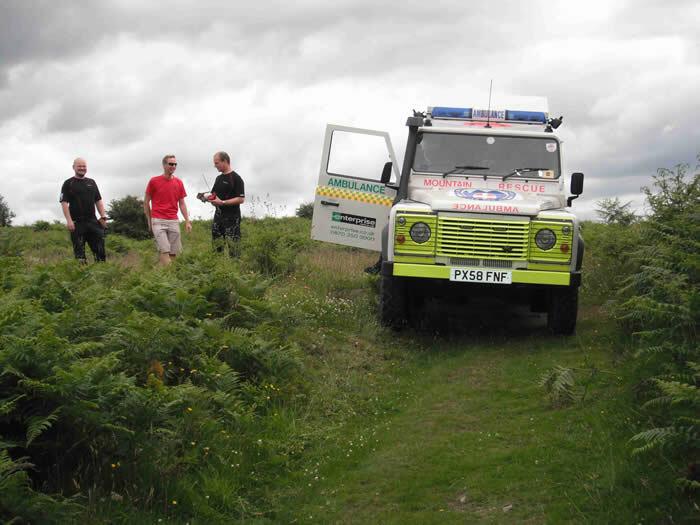 Fortunately, we were able to drive our Land Rovers most of the way up to the casualty. 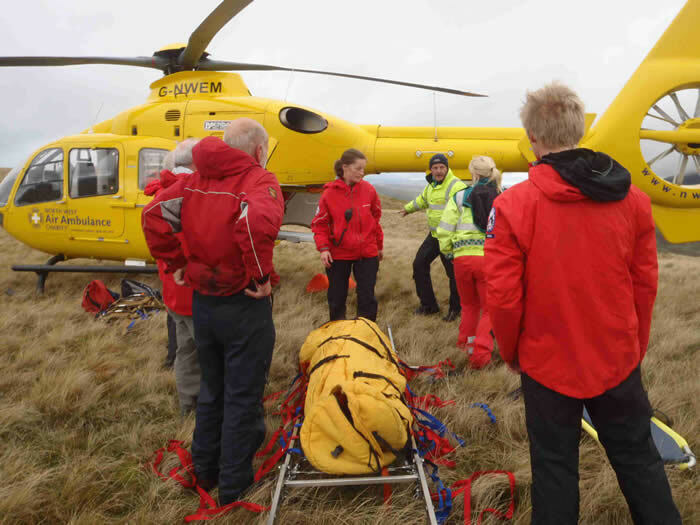 We then stretchered him up to the North West Air Ambulance which had managed to land on the ridge. 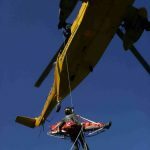 The helicopter took him off to hospital. 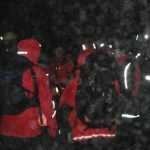 We were at our base listening to a training lecture when we were asked by the Penrith team to assist them in a search for a couple who had reported themselves lost in the cloud and darkness. 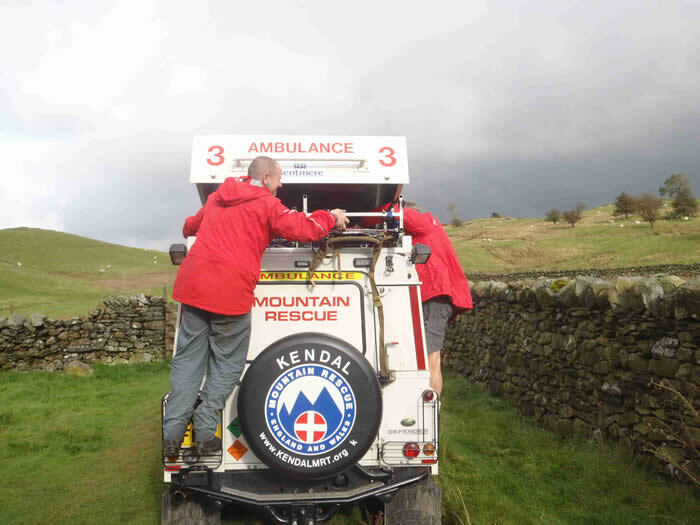 The Penrith team were deploying south from Haweswater and we sent search teams up towards kentmere Pike, to the Wrengill Quarry area and up on to Sleddale Fell. 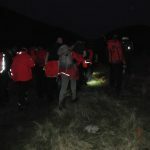 Search dogs and handlers from SARDA were also being deployed when the couple were located, fit and well, in the vicinity of Artle Crag by Pentith team members at around 21.30 hrs.. 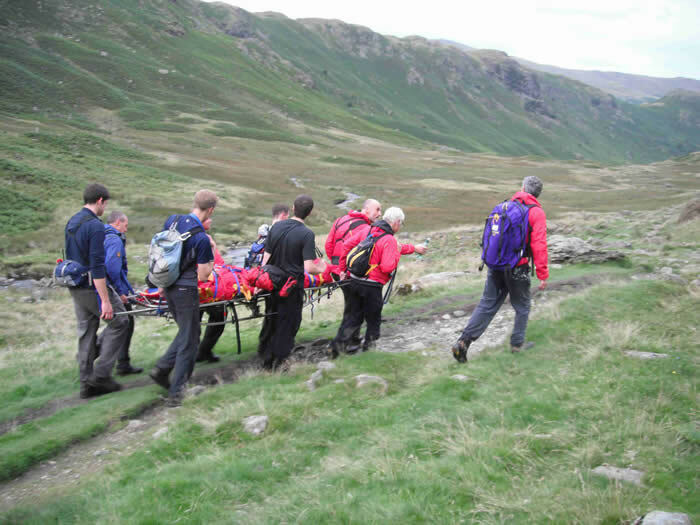 The Langdale & Ambleside team asked us to assist with the recovery of a male who had slipped and apparently developed an achilles tendon problem while walking in Far Easedale. 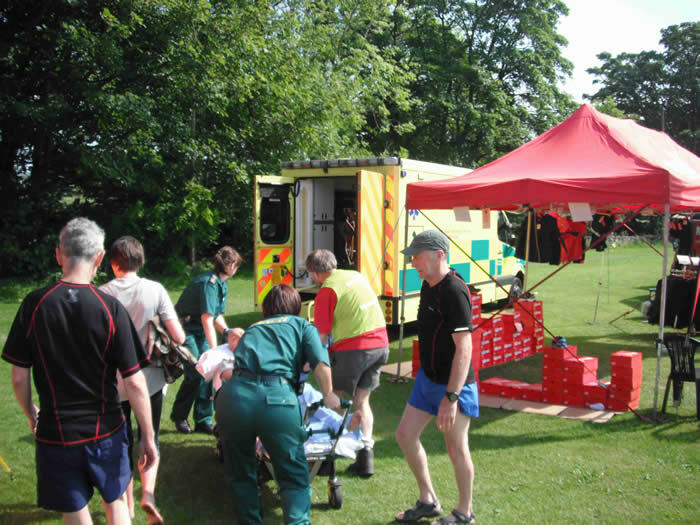 The casualty was located and stretchered down to the team vehicles. 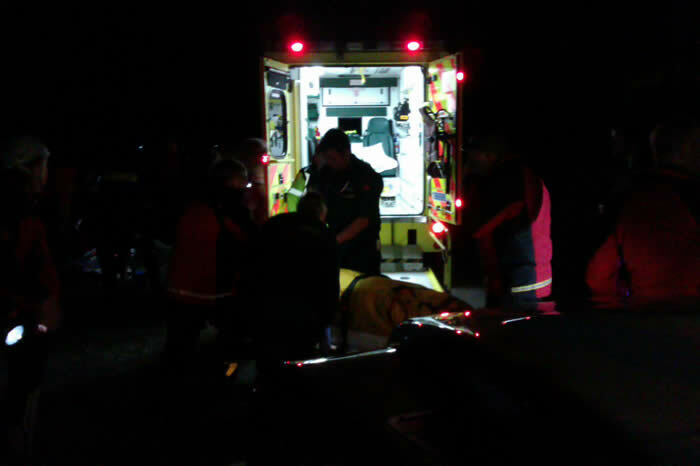 He was transported to Ambleside where he was transferred to an ambulance. 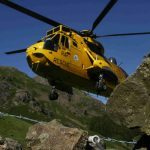 We were again asked to assist the Langdale & Ambleside team, this time on Crinkle Crags with a female who had a dislocated shoulder. 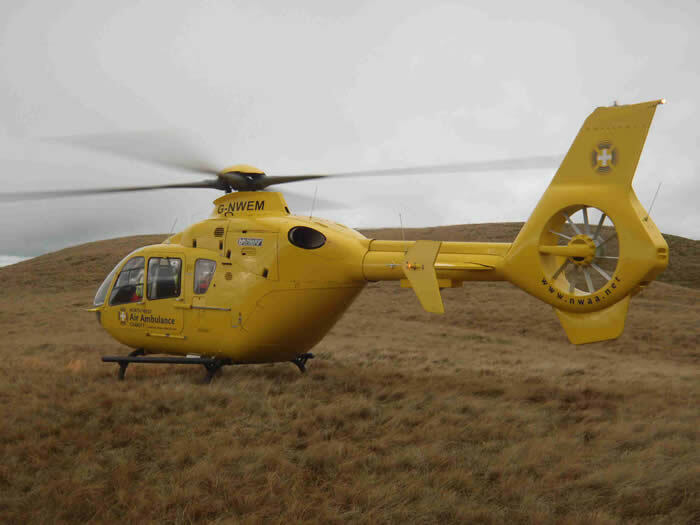 We were stood down while on route when the Air Ambulance managed to get in and evacuate the casualty. 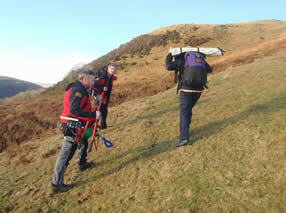 Off to Far Easedale again to assist the Langdale & Ambleside team. 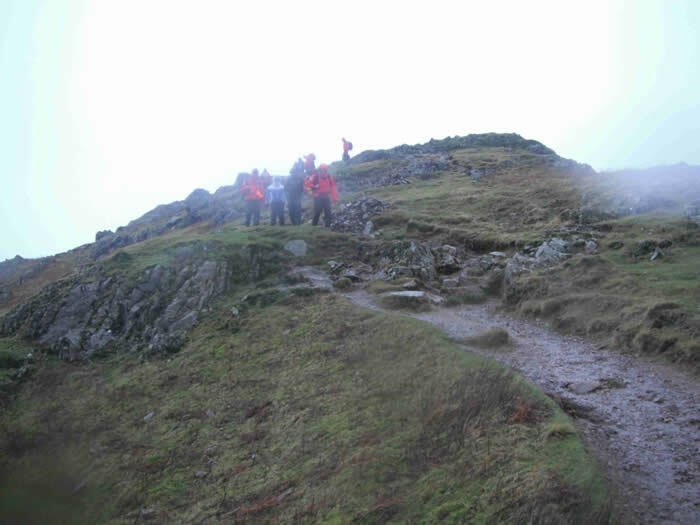 Despite the low cloud and rain, the air ambulance managed to land close to the casualty while we were on route. 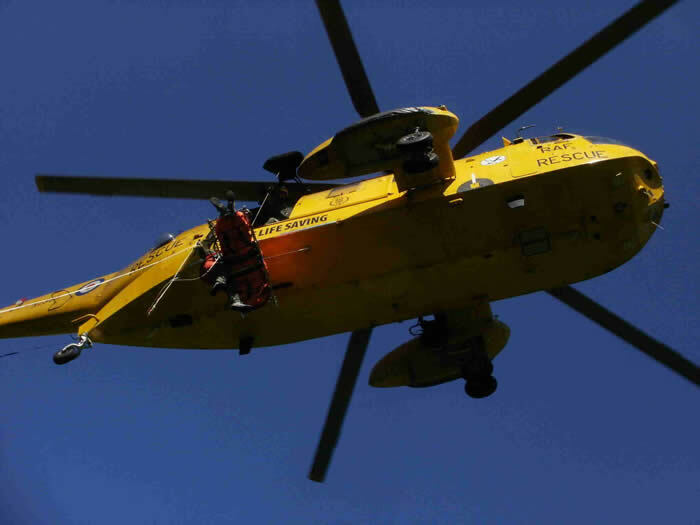 We were held at Brimmer Head until it was confirmed that the helicopter had lifted off with the casualty. 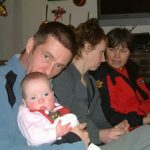 Well they do say that things happen in threes! 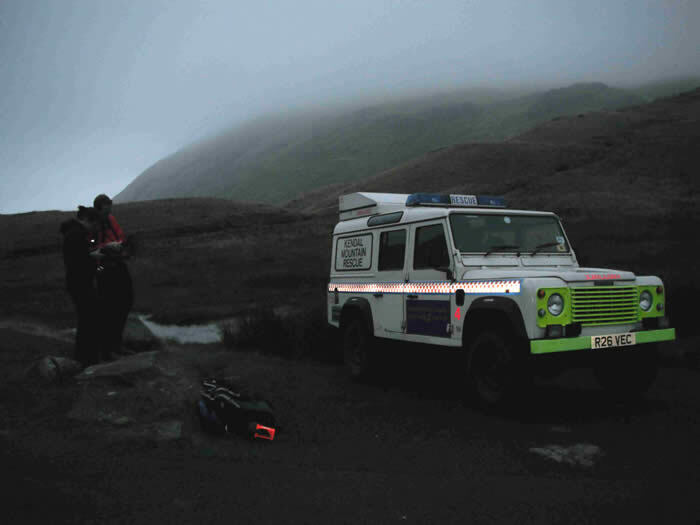 We were asked to assist the Langdale & Ambleside team in a search for a missing person for whom there was some concern. 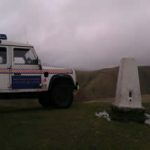 After initial deployment in the direction of Crinkle Crags, we were diverted to Oxendale following information received. 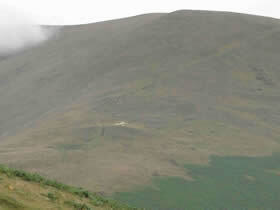 The missing person showed up there after a short while. 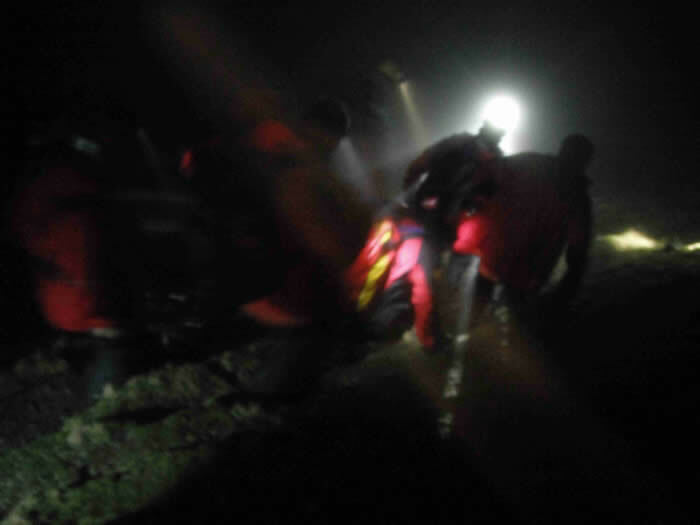 Just as that incident finished, team members were approached by a walker who had become separated from his companion in the area of Ore Gap. 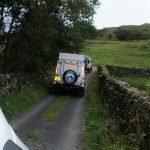 Fortunately, we soon received a message that his friend had turned up at the Woolpack Inn (Eskdale) – good choice!!! 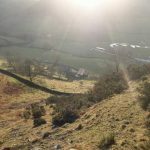 Then there was a report that two walkers had been seen struggling close to the bottom of Rossett Gill in failing daylight. 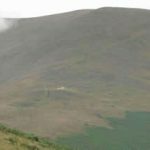 After a short search of the area drew a blank, it was considered that they had sorted themselves out. 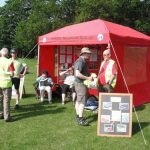 The tea at L&A base was greatly appreciated! 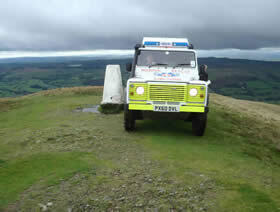 We were called to assist the North West Ambulance Service with a female casualty at Dalton Crags, Burton-in-Kendal. 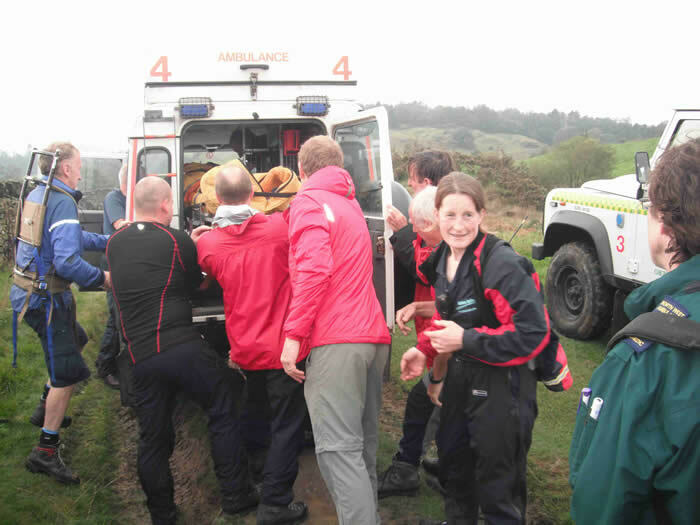 She had sustained a painful shoulder injury after slipping on wet ground about half a mile from the road. 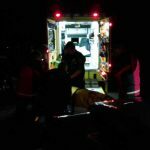 She had already been given pain relief by the ambulance crew and we stretchered her off to the waiting ambulance. 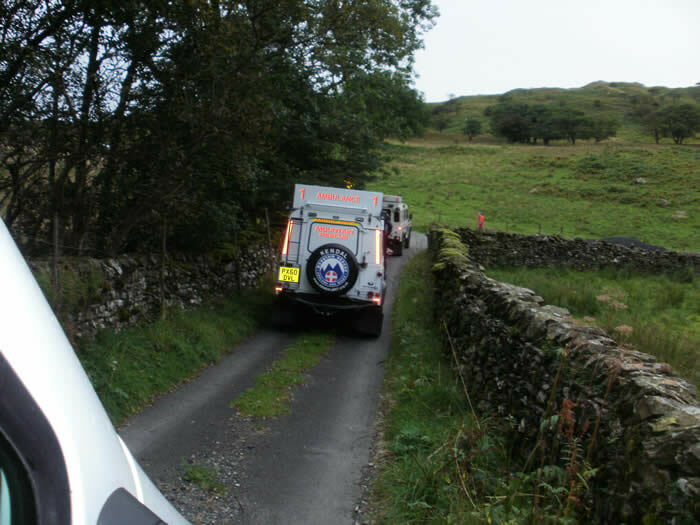 The team’s Leader Group was contacted by the police regarding a van blocking the road between Ingleton and Dent in icy conditions. 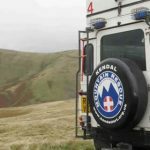 Enquiries established that there was no one in danger and it was agreed that this was a vehicle recovery job, rather than one for a mountain rescue team. 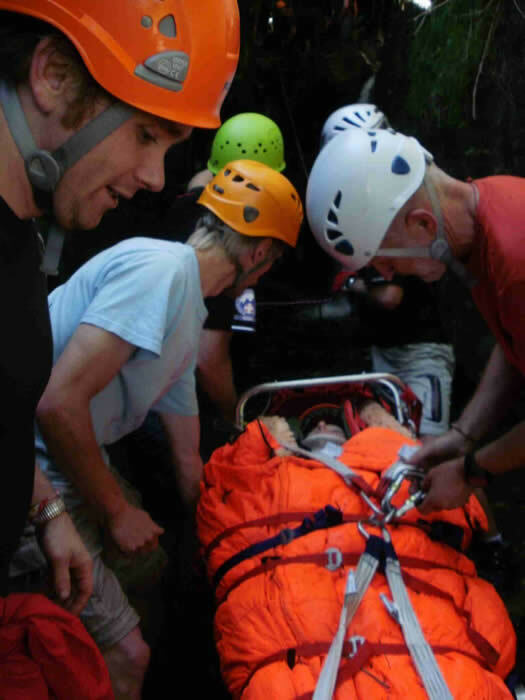 In any case, the incident was on the Cave Rescue Organisation’s patch. 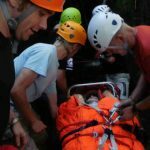 An experienced caver in County Pot was hit on the leg by a loose rock, despite superficial injuries he managed with the help of the Cave Rescue Organisation (CRO) to surface 10hours after going underground. 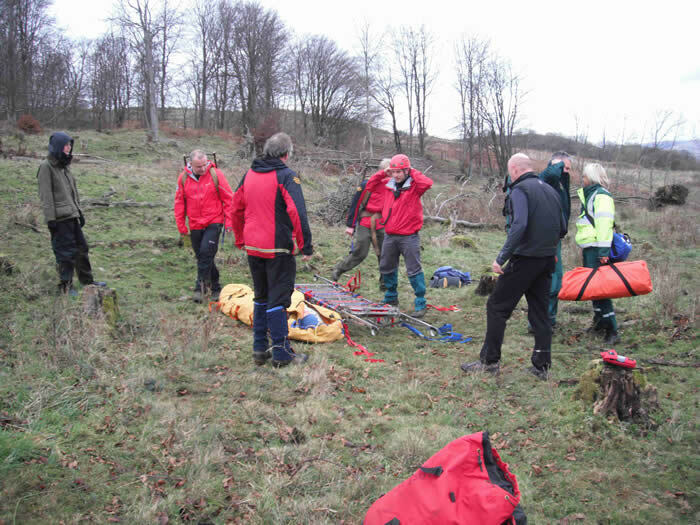 Kendal Team stretchered him from the site to a waiting ambulance at Bull Pot Farm. 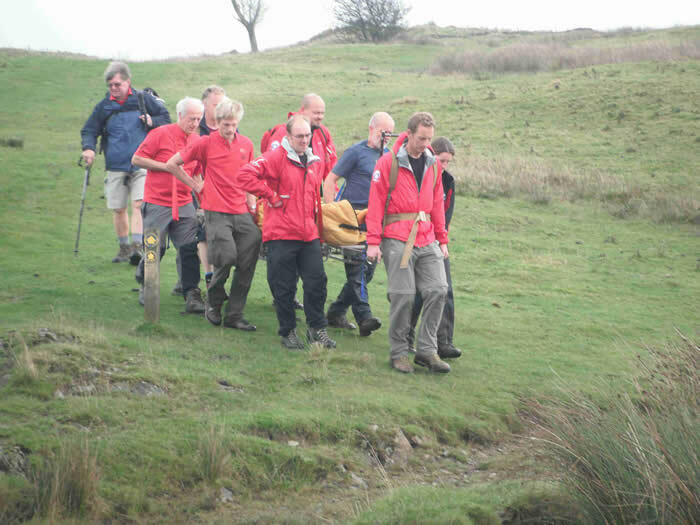 The stretcher carry was over very wet & boggy ground not helped by a heavy 6ft tall casualty. 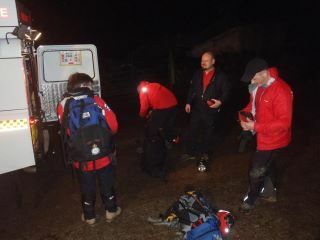 9 team members turned out and we returned at midnight all very wet and muddy. 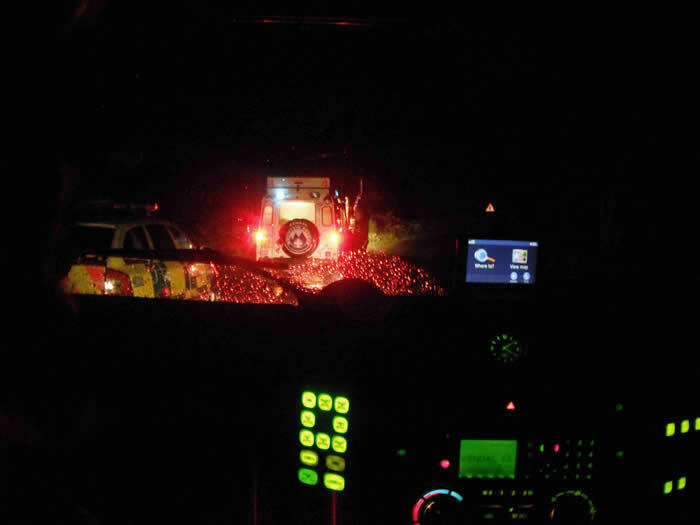 We were paged by the Police following a report of a 71 year old missing person in the Witherslack area. 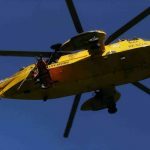 An extensive search was undertaken with assistance from teams from Duddon & Furness and Kirkby Stephen, search & rescue dogs from SARDA and an RAF Sea King helicopter. 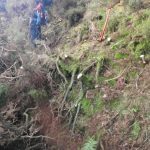 With the agreement of the Police, we were stood down shortly after 14.00 hrs, having exhausted all obvious search possibilities. 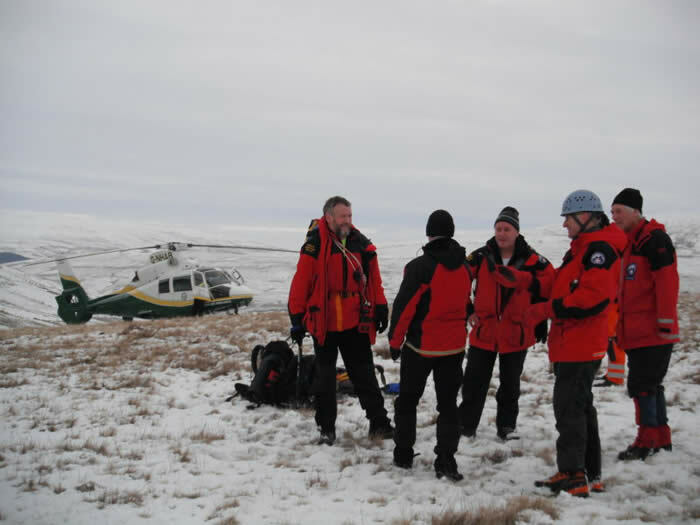 We returned to our base in Kendal for a debrief and later in the afternoon we received a report that our missing person had turned up safe and well at his home in Scotland. A good outcome. 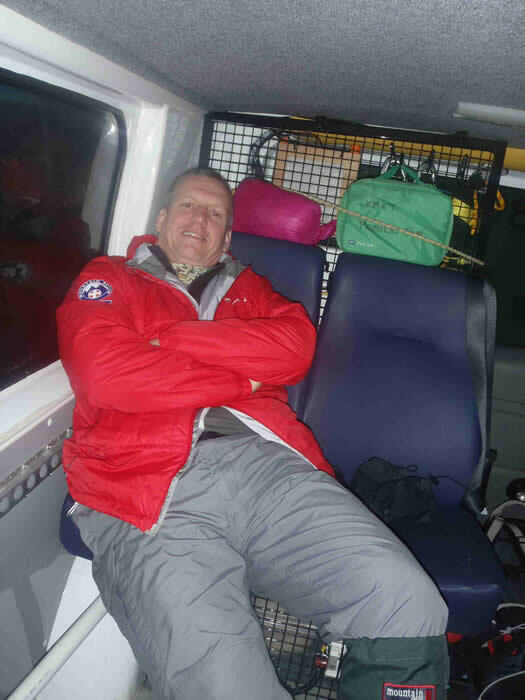 It is understood that he hitched to Lancaster in the early hours of the morning and spent the night in a hotel before catching the train to Scotland! 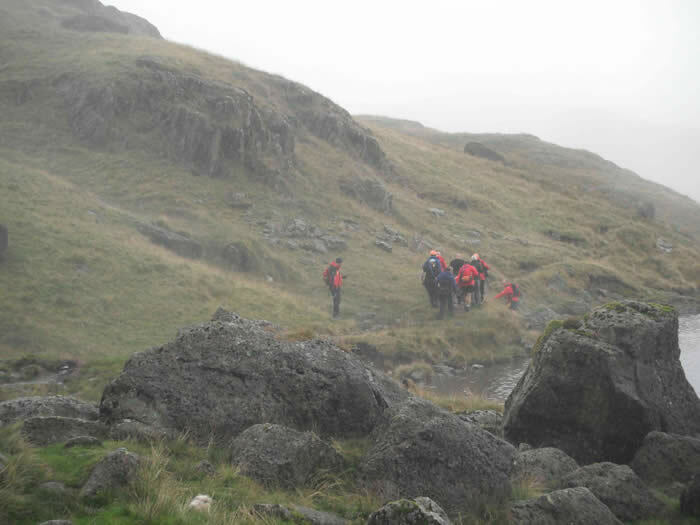 We were deployed to Wansfell to assist the Langdale & Ambleside team with a casualty who had an arm injury. 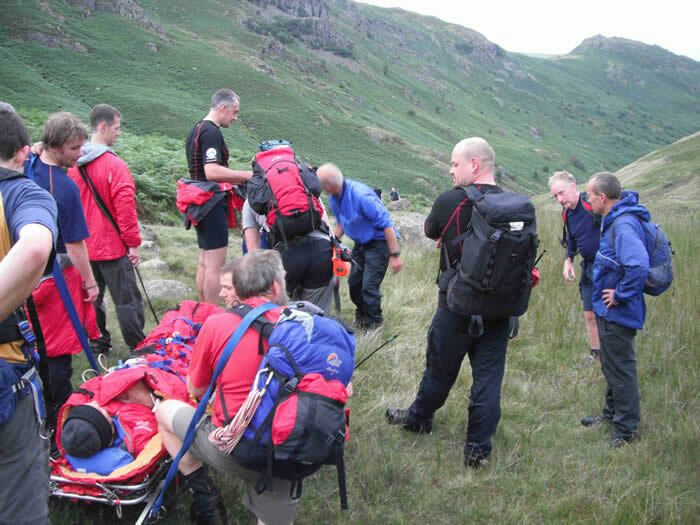 On arrival at road head we were deployed to the summit of Helm Crag on a 2nd incident – another arm injury. 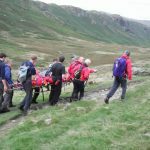 While descending Helm Crag another incident in Far Easedale cropped up – yet another arm injury. 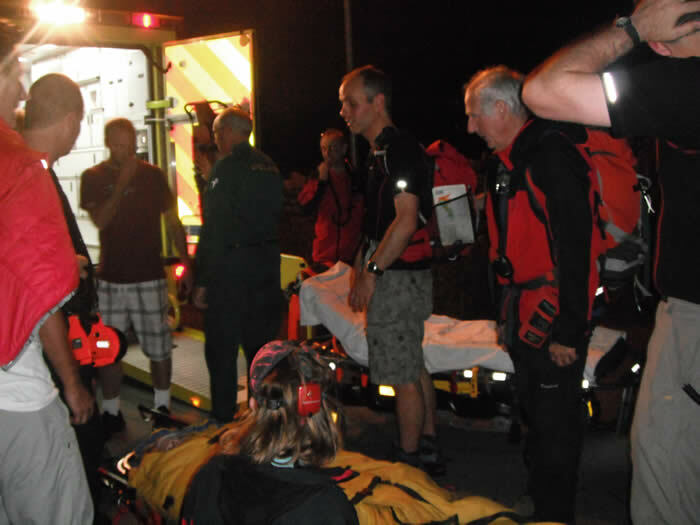 Kendal Team members were used on all incidents and the last crew finally returned to base at about 22:00hrs. A good soaking was enjoyed by all!